Charles Cresson’s garden looks from the street like a rather ordinary suburban plot on a tree-lined avenue in Swathmore. 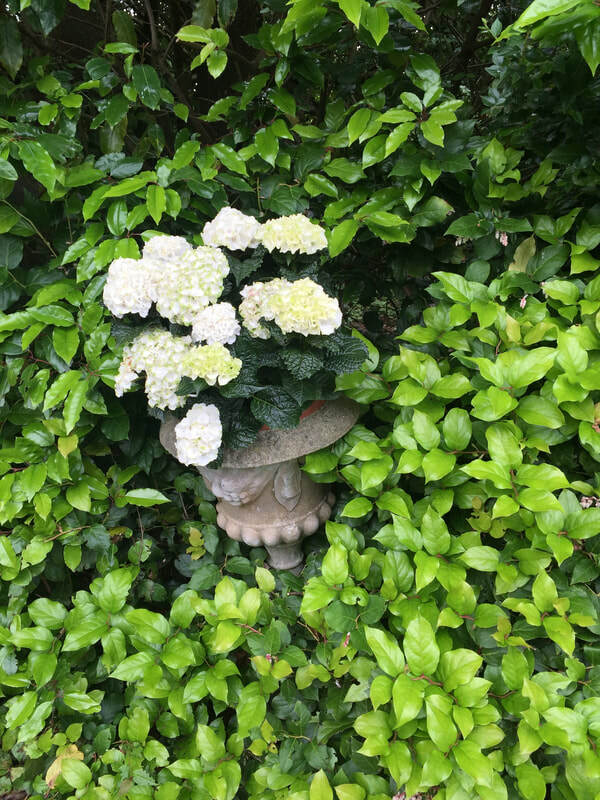 An ancient cutleaf Japanese maple points to a past owners with an interest in gardening, the blooms of large fall-blooming camellia's point to a recent horticultural passion. 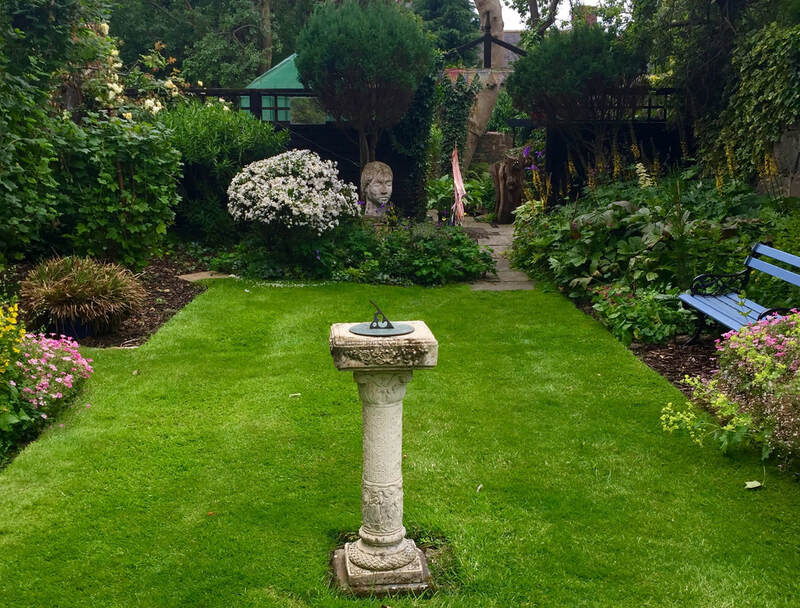 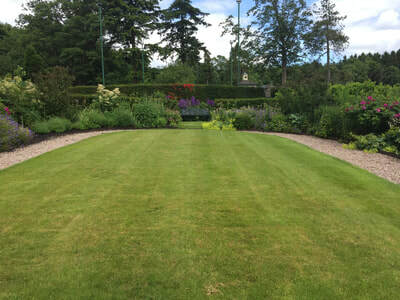 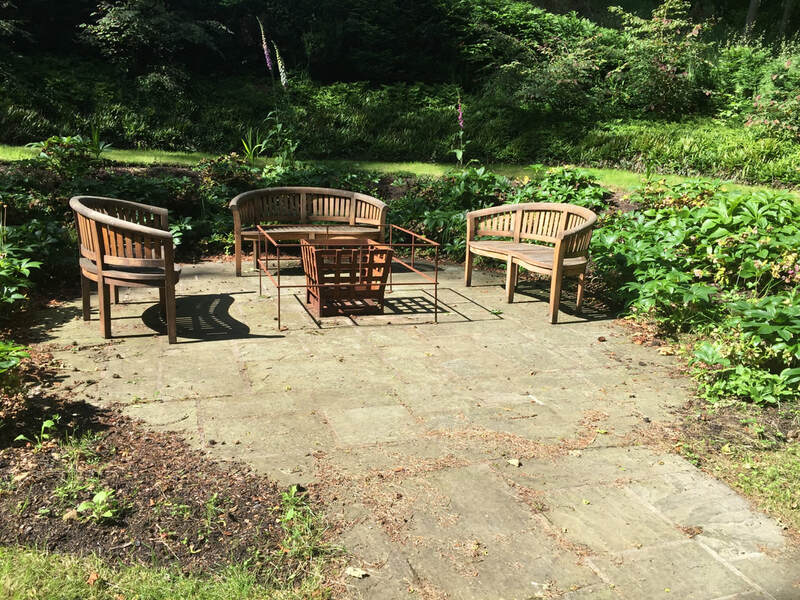 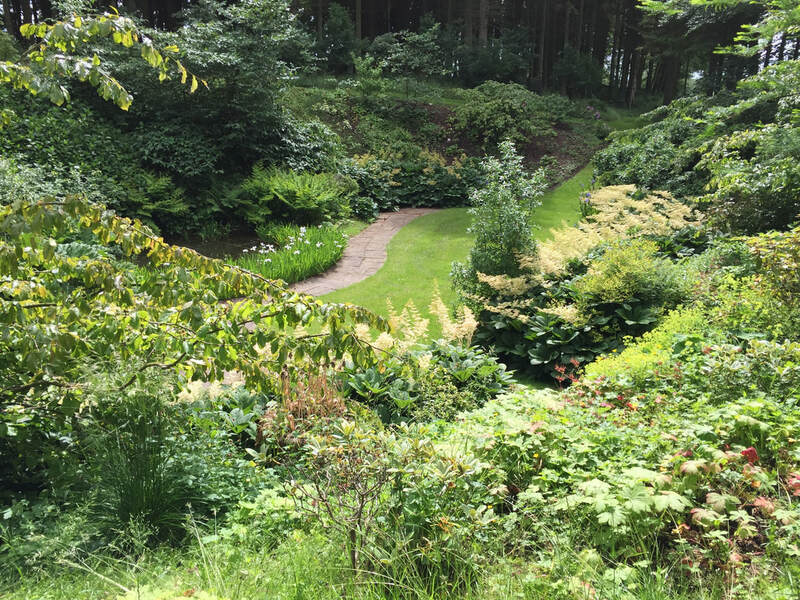 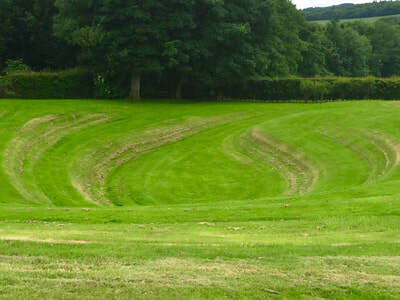 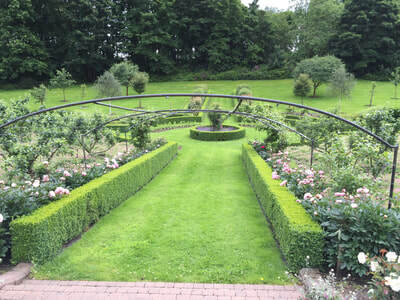 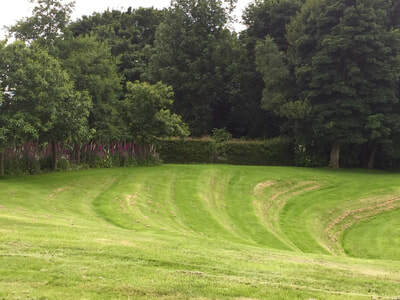 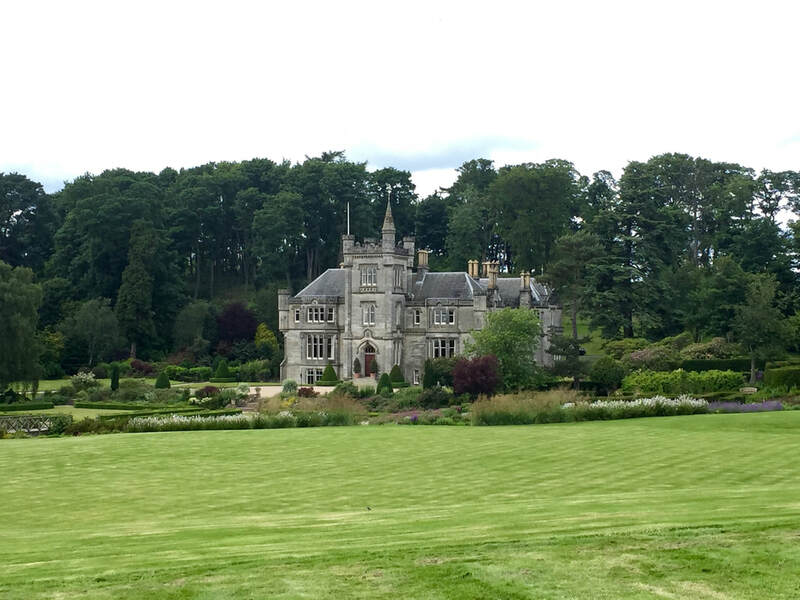 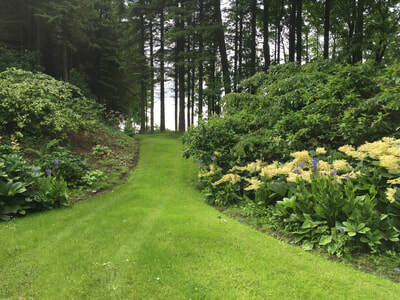 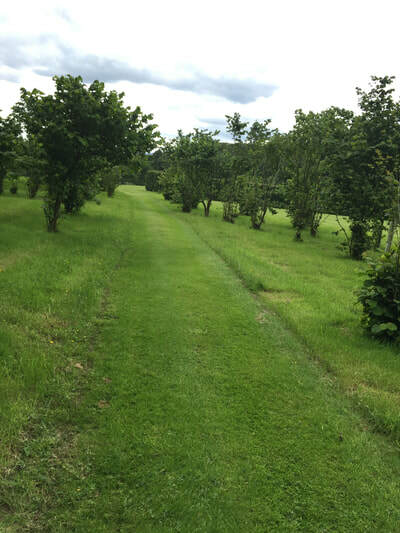 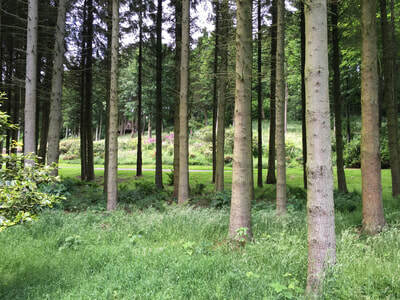 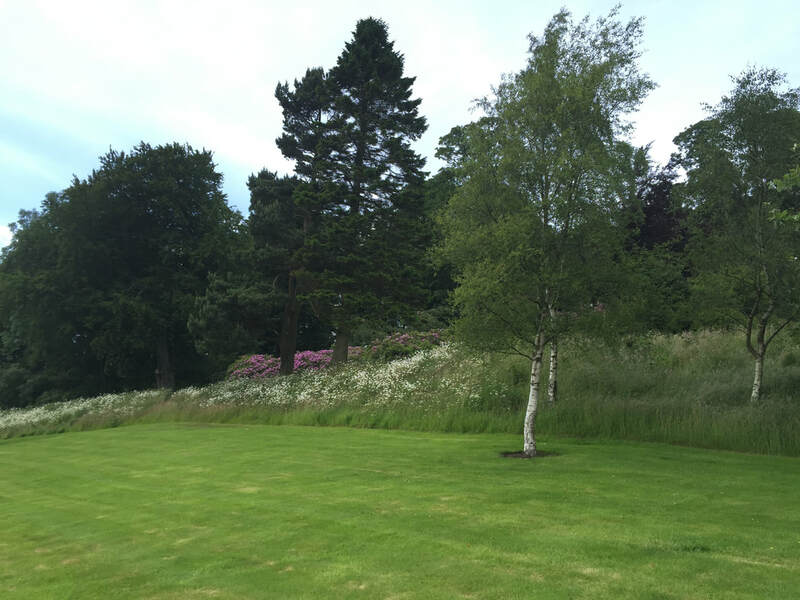 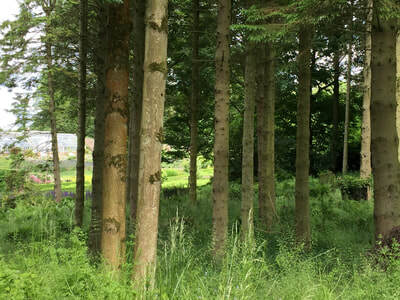 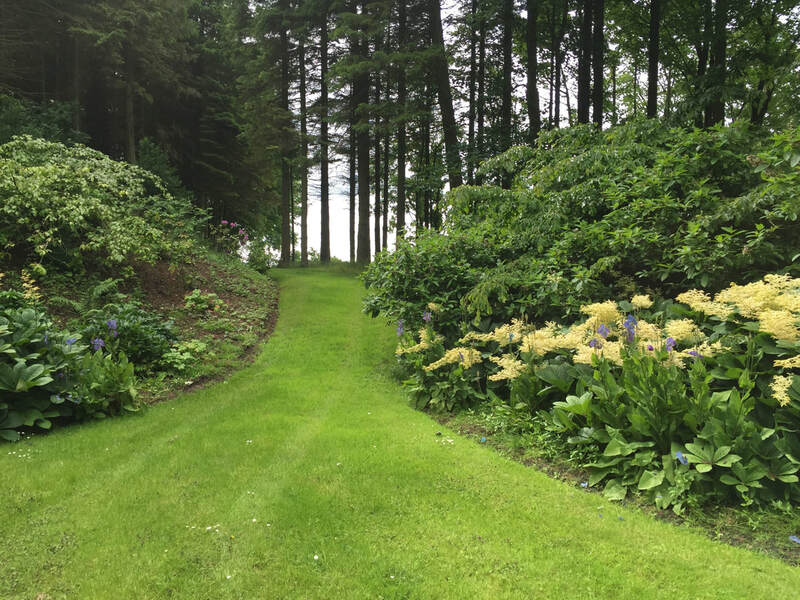 The name of the garden itself, Hedgleigh Spring, implies a grand scale - in fact the property is only two acres but it is so intensively planted, so cleverly designed and so impeccably maintained visiting it takes more time than gardens many times its size. 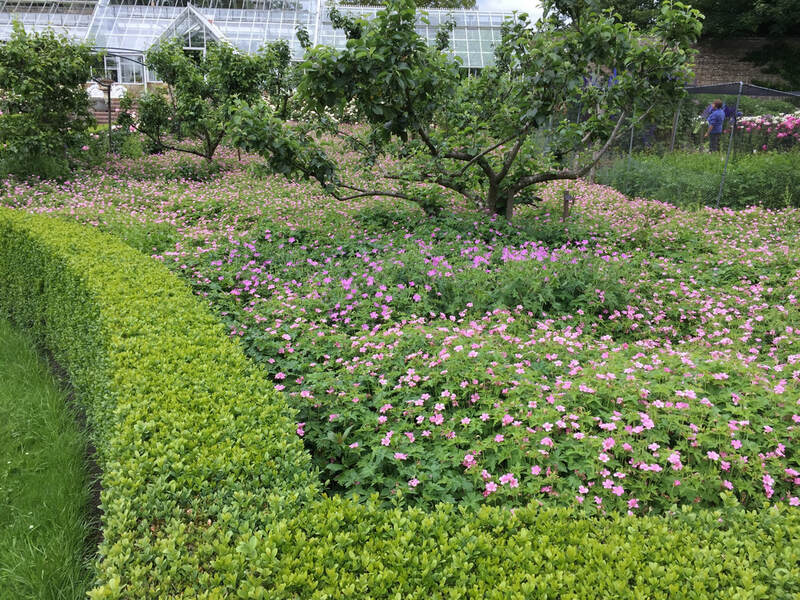 The garden’s original framework, hinted at by the ancient maple, was the work of Charles’s grandfather, who built the house in 1911 on land hat had been part of his own father's 'gentleman's farm." 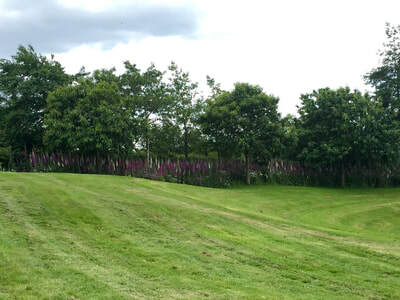 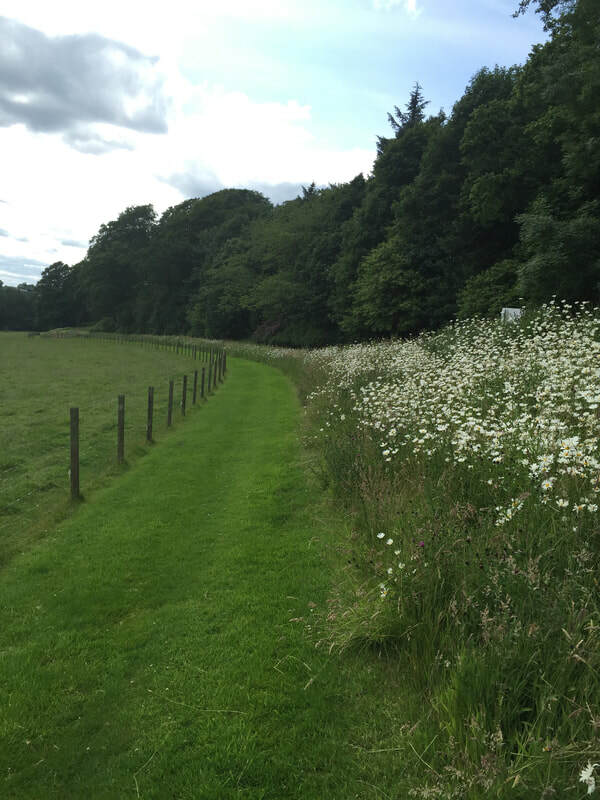 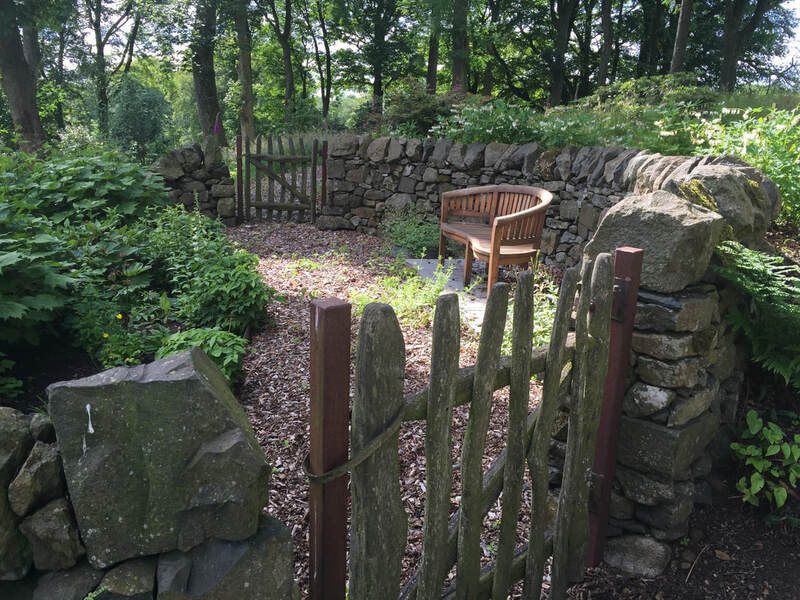 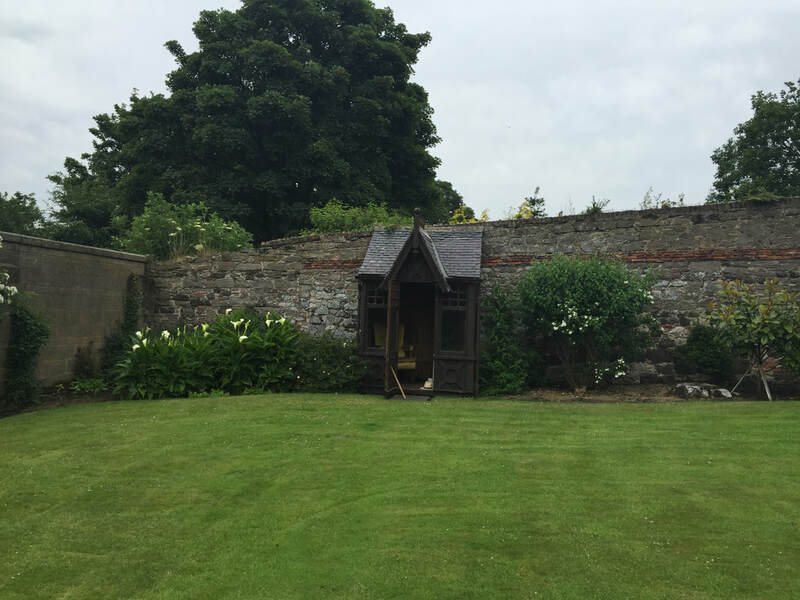 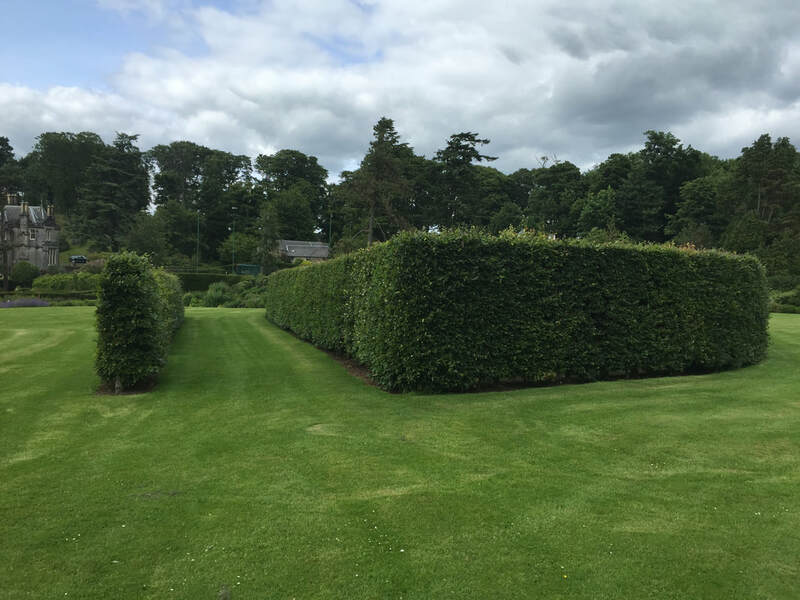 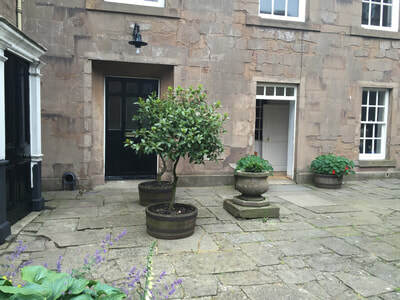 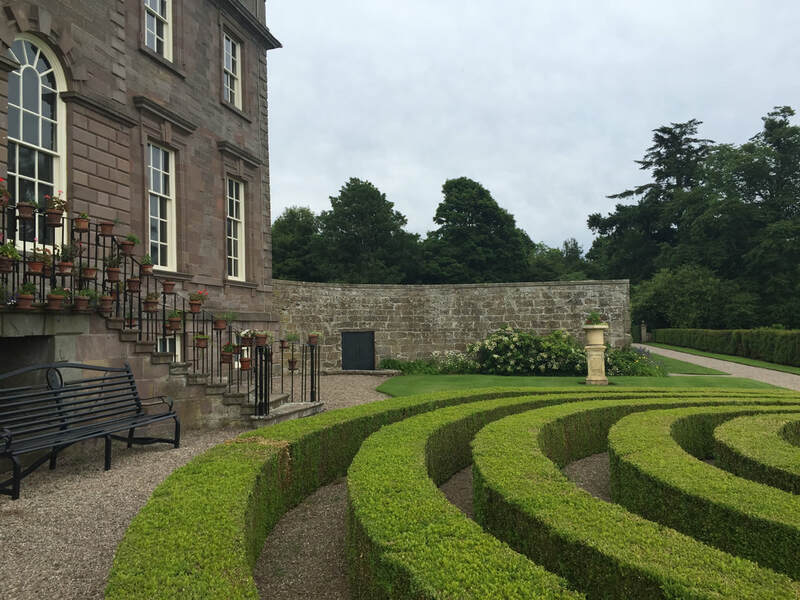 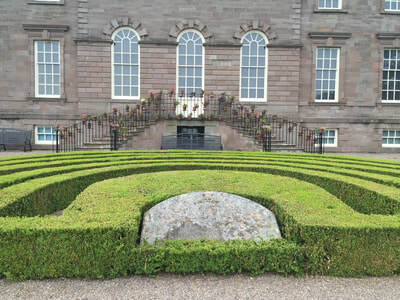 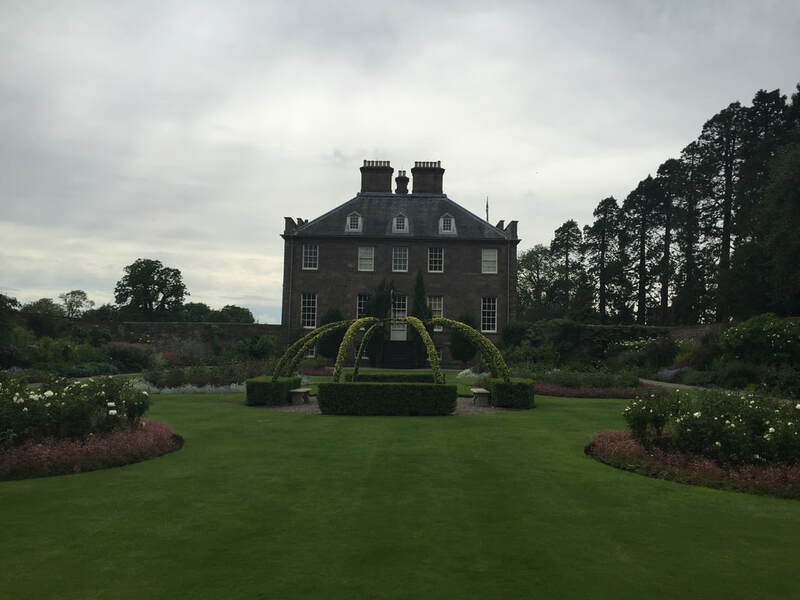 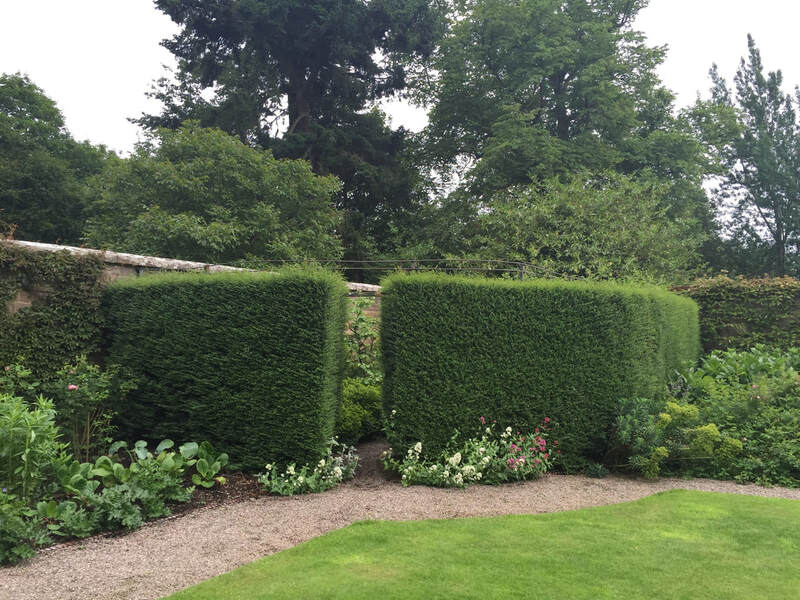 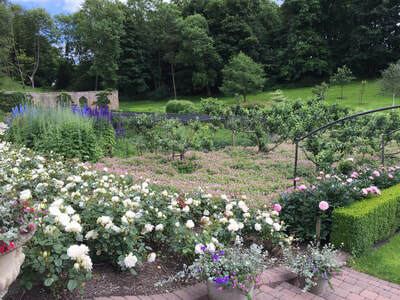 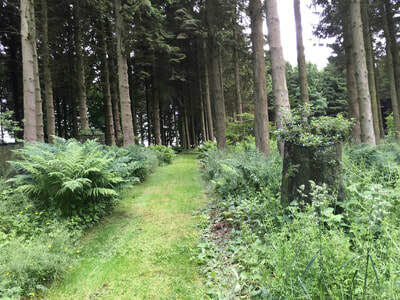 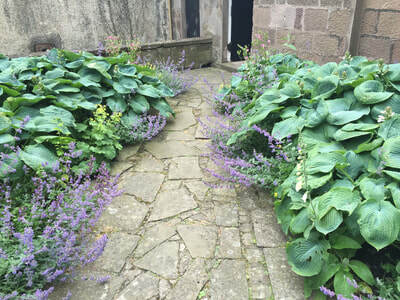 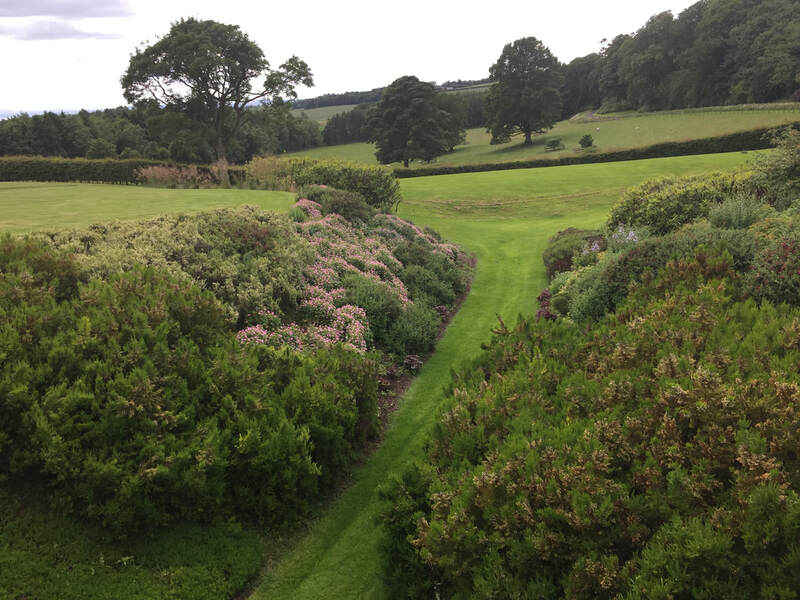 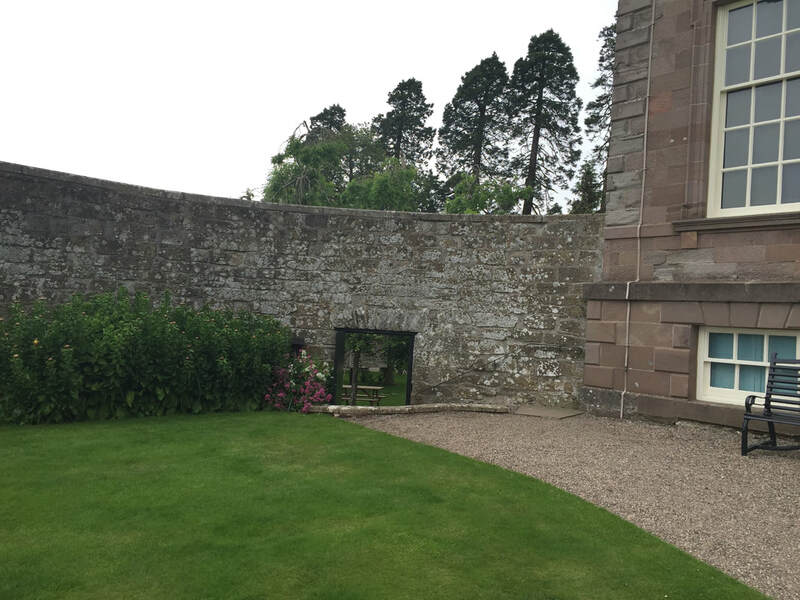 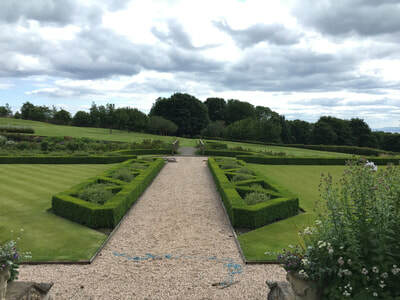 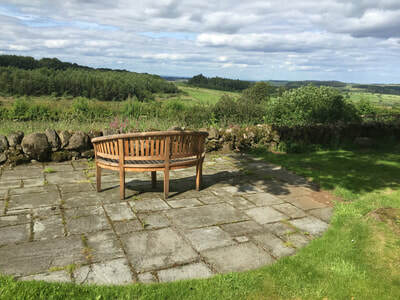 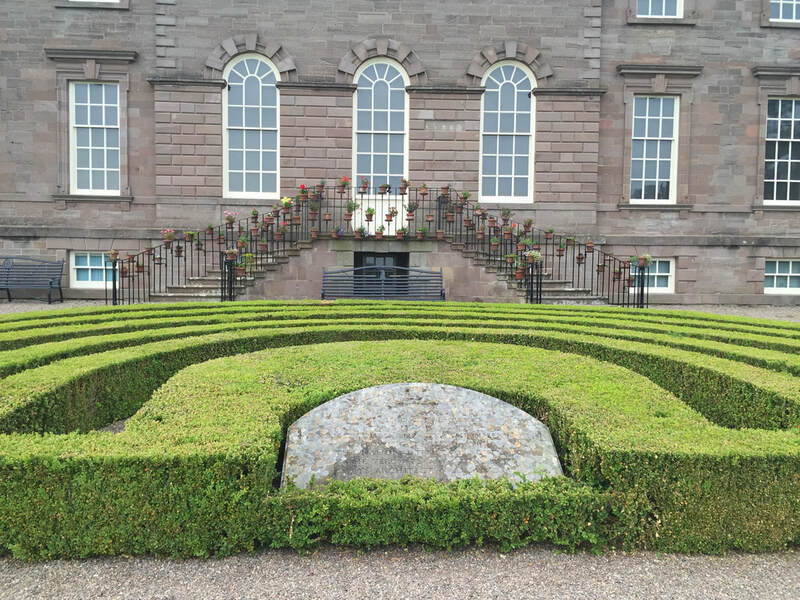 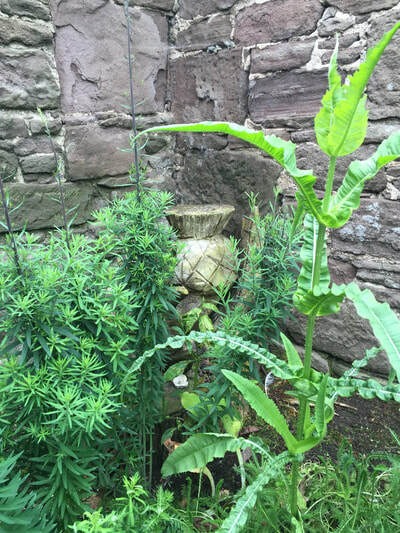 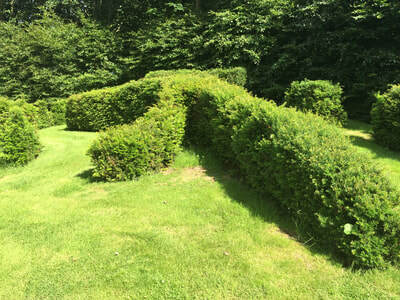 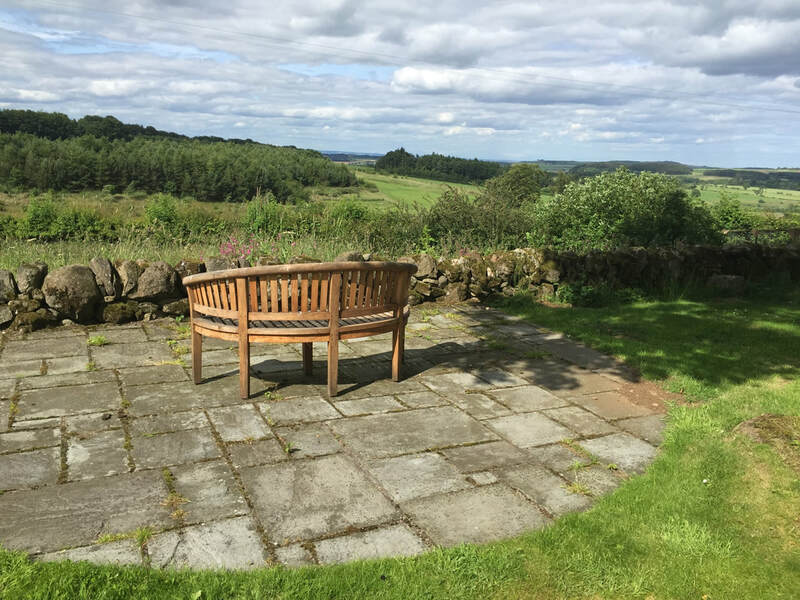 Charles' grandfather spent his life carving a garden out of the open fields, building hundreds of feet of stone walls, terracing the land and creating numerous beds filled with shrubs and trees. 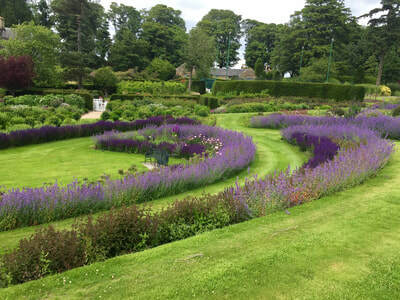 When he died the property was passed to his son and then ultimately to Charles, the third generation of Cresson's to inherit a great love for the land and a passion for gardening - although unlike his father and grandfather Charles has a formal horticultural training, studying both in the US and in England to study at the Royal Horticultural Society at Wisley. 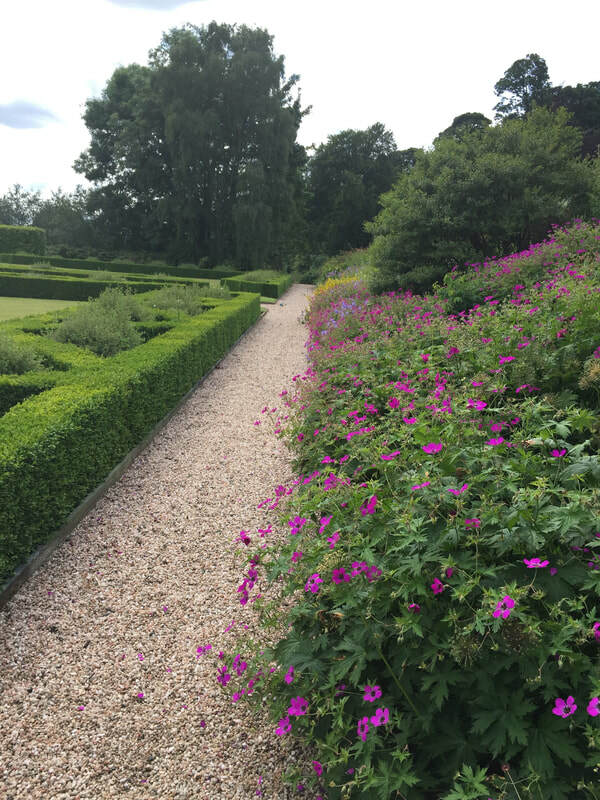 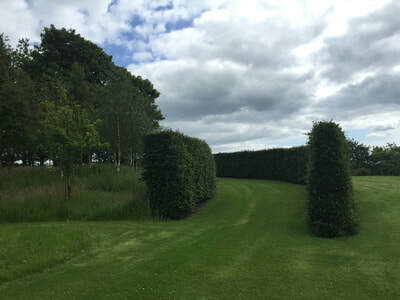 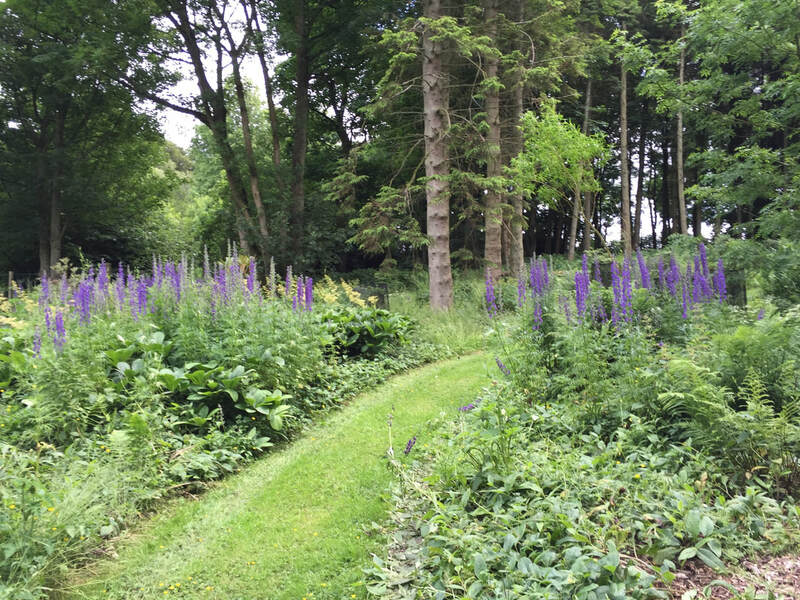 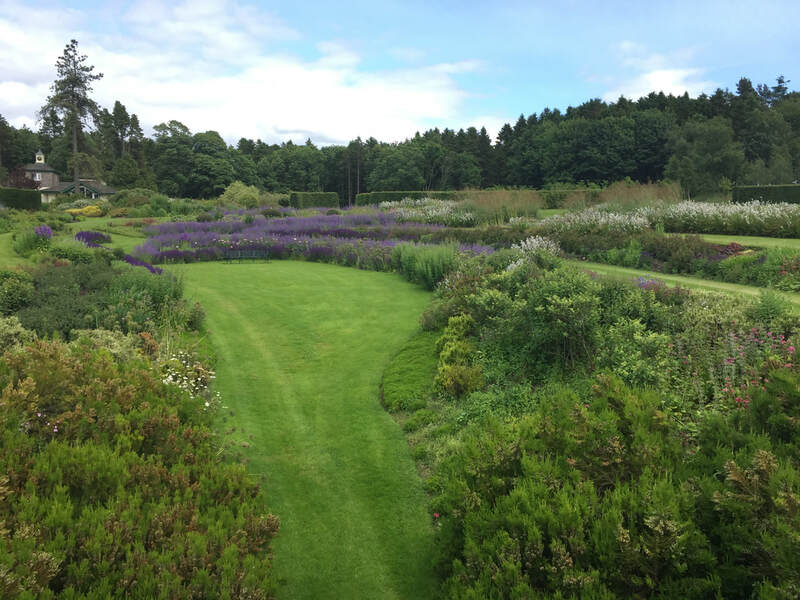 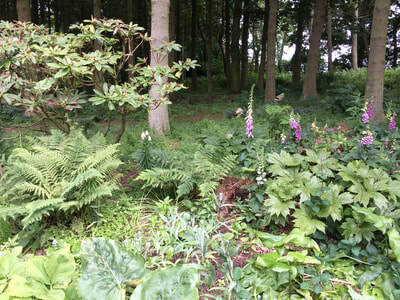 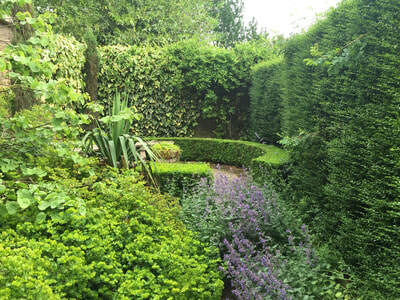 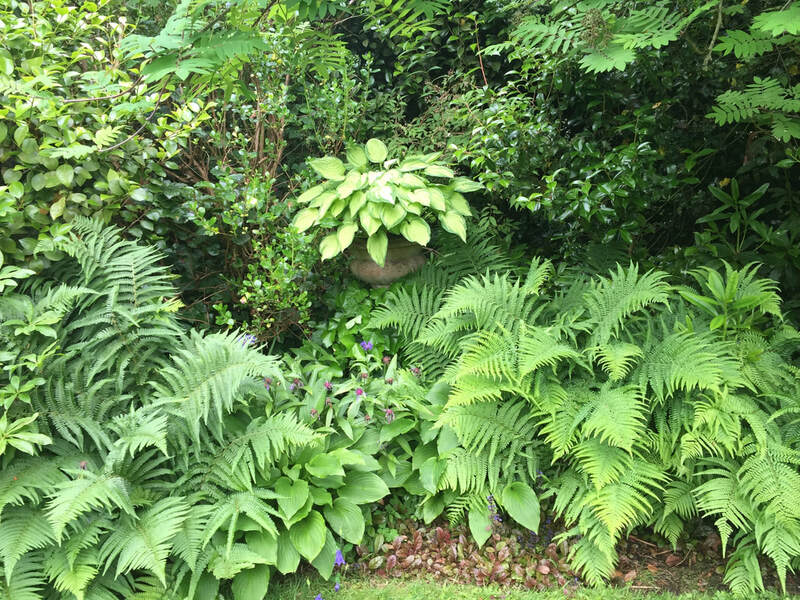 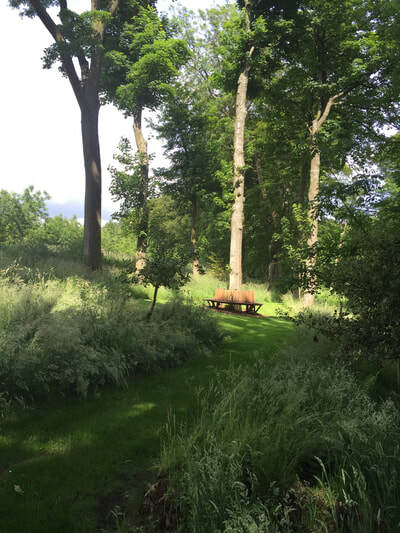 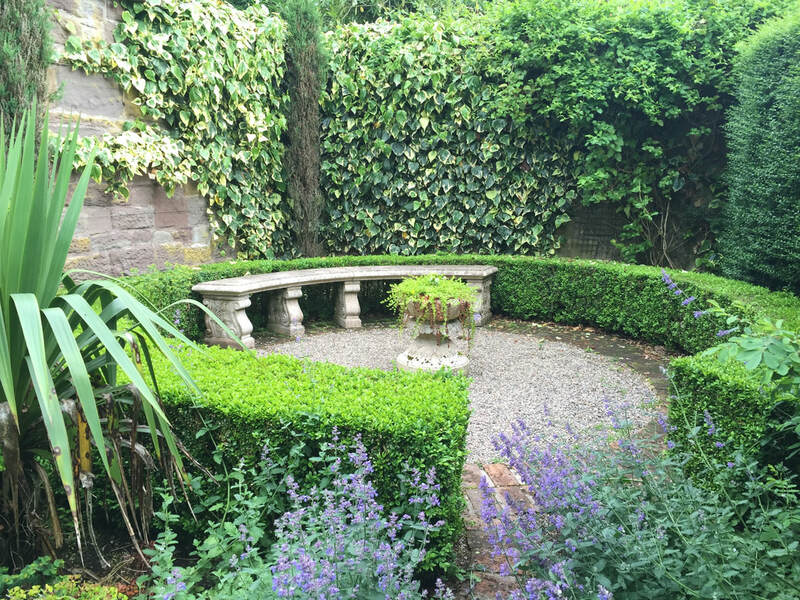 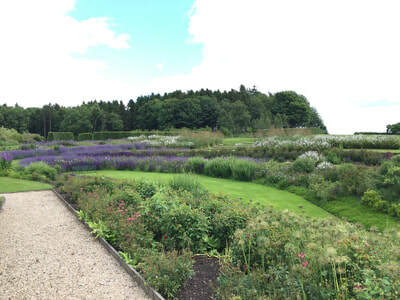 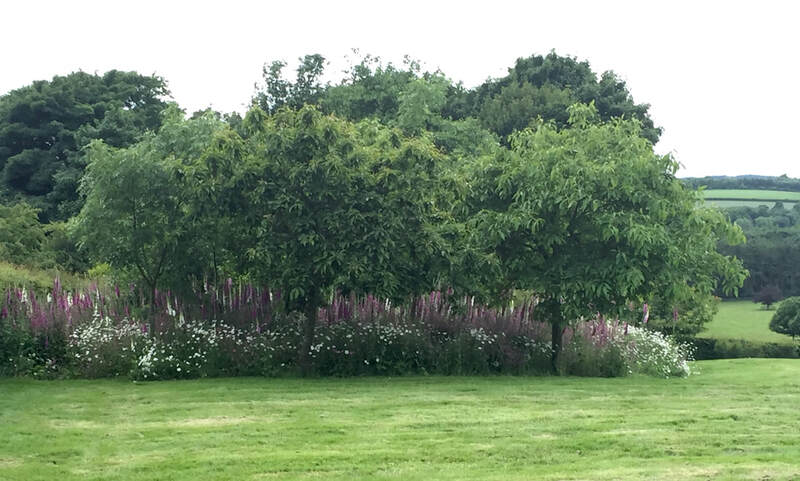 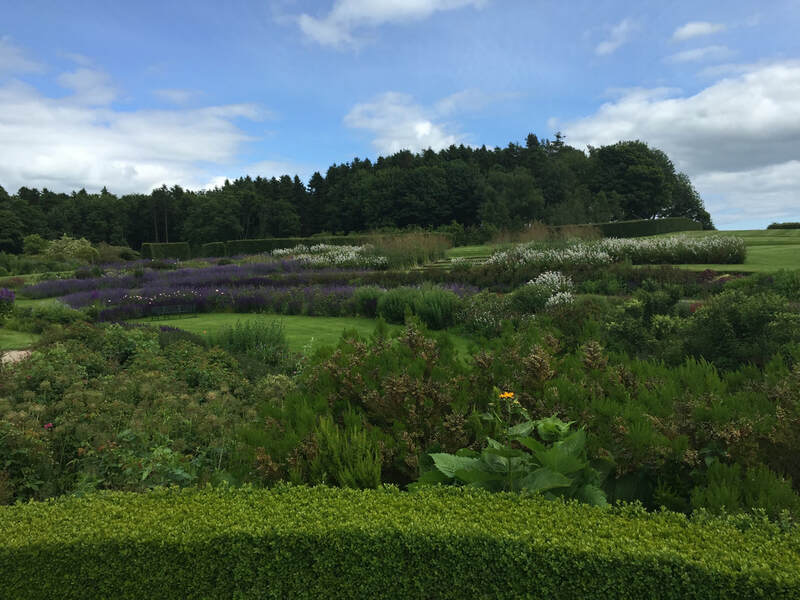 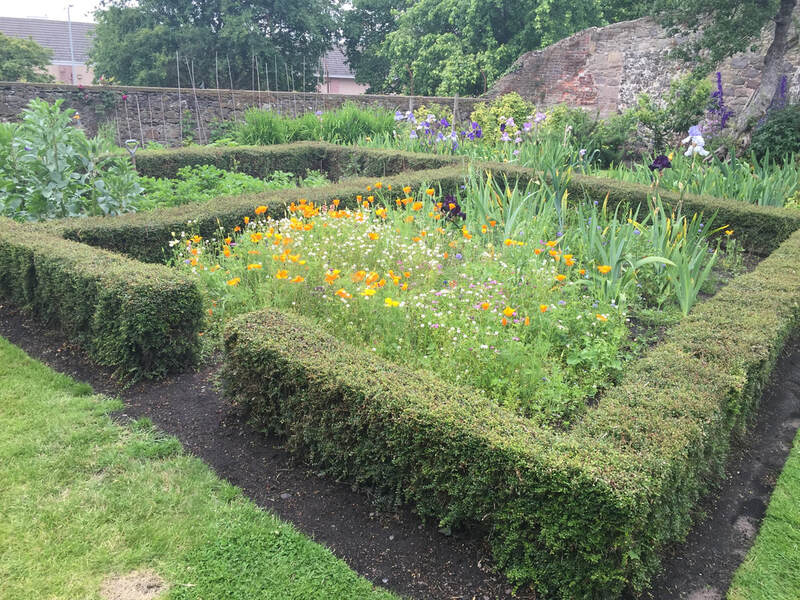 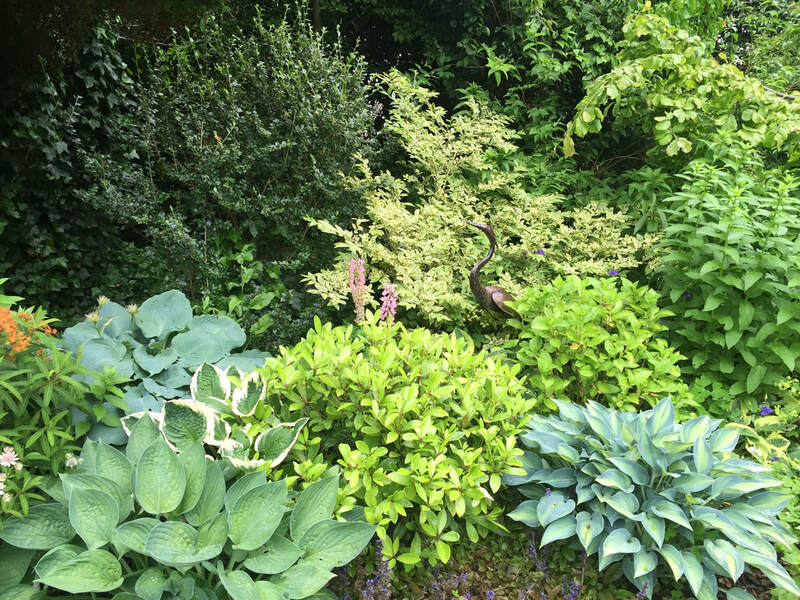 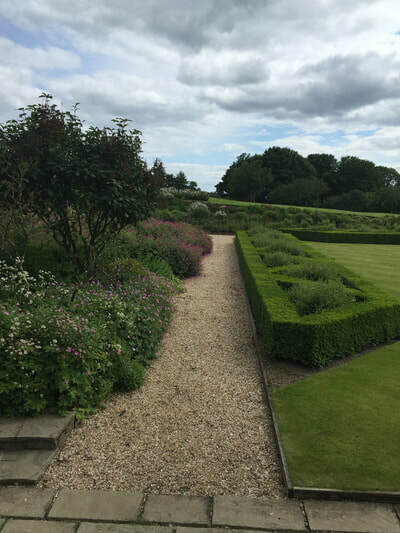 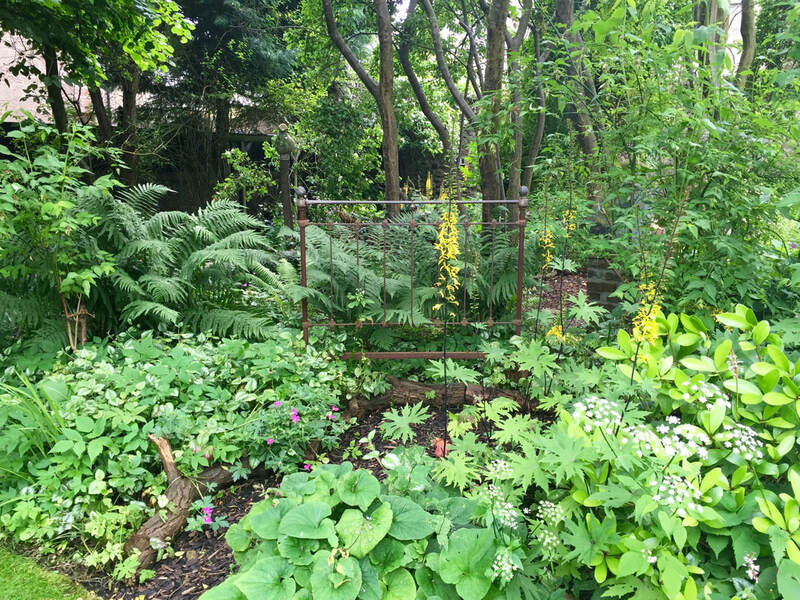 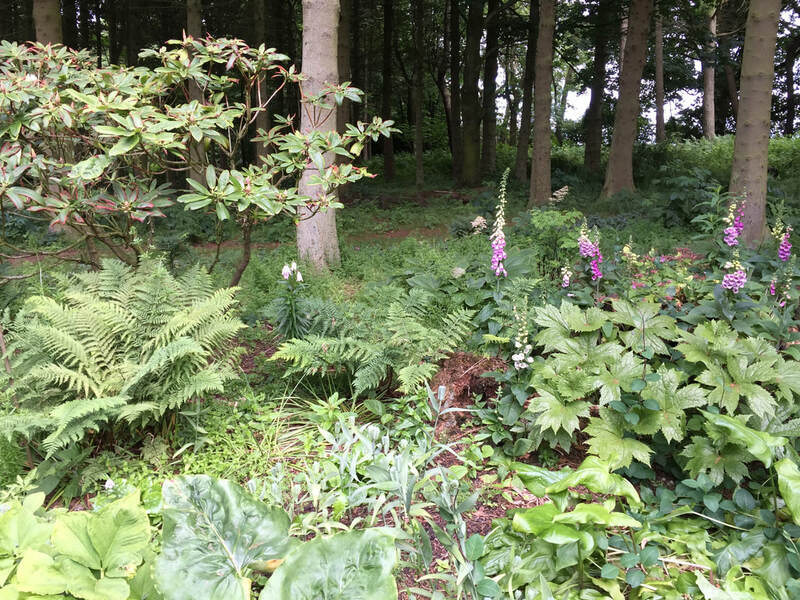 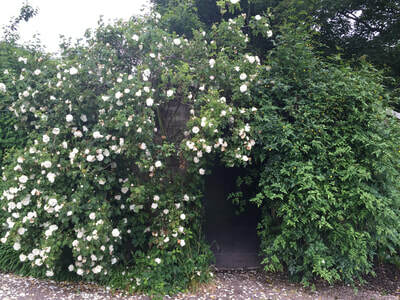 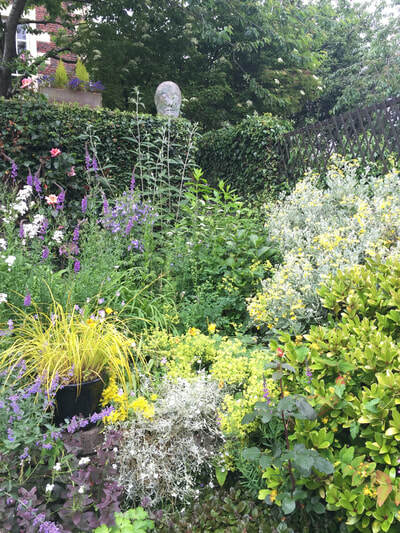 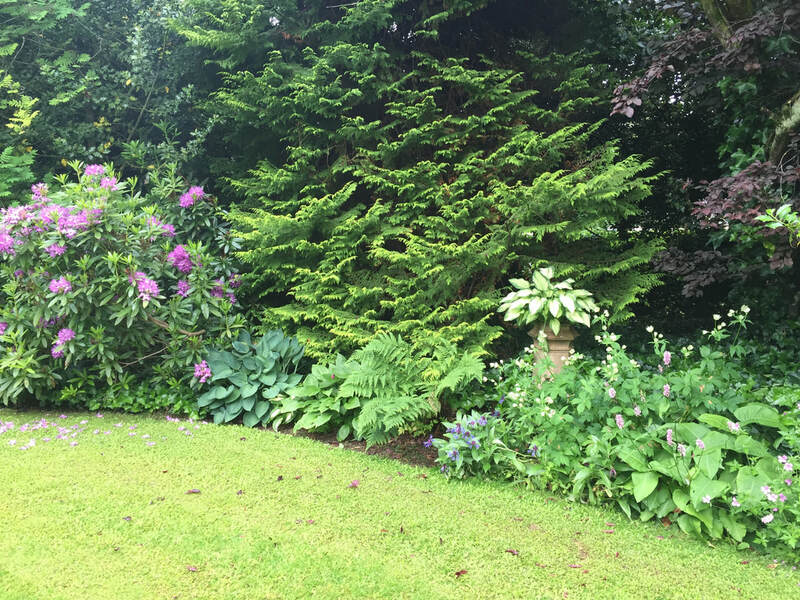 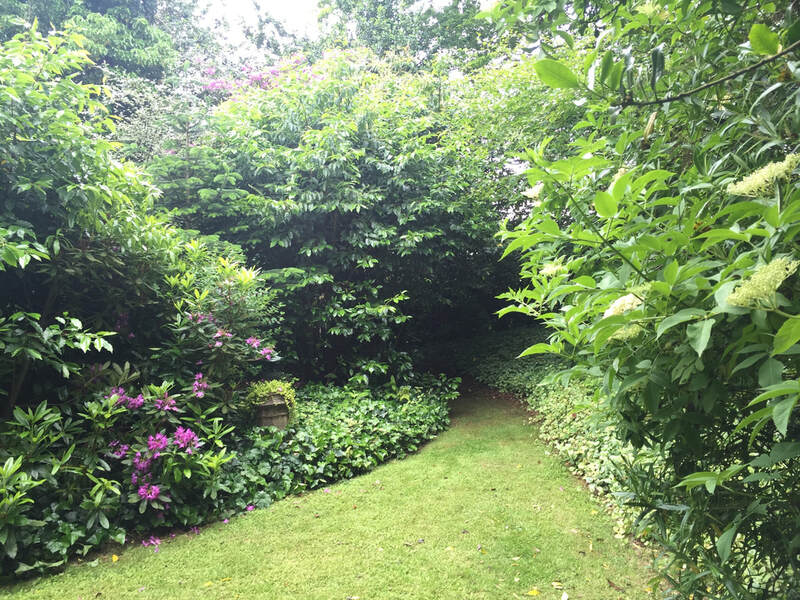 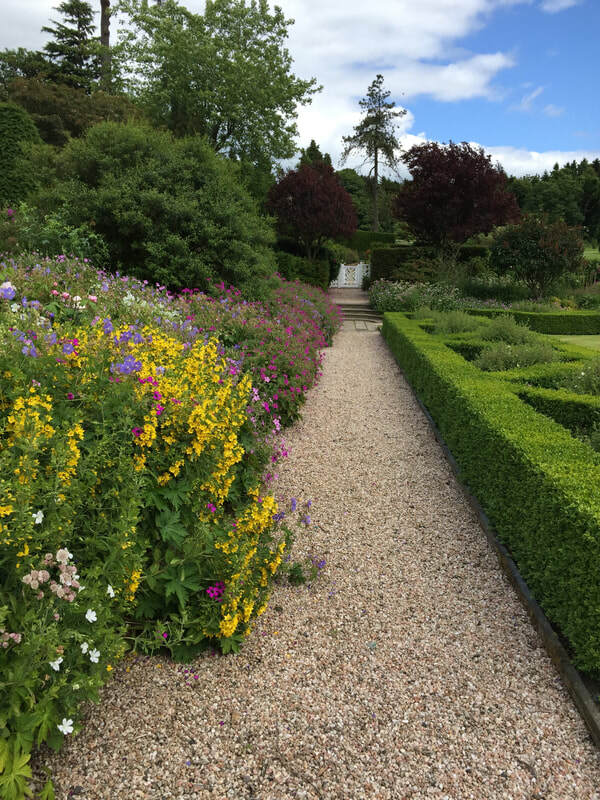 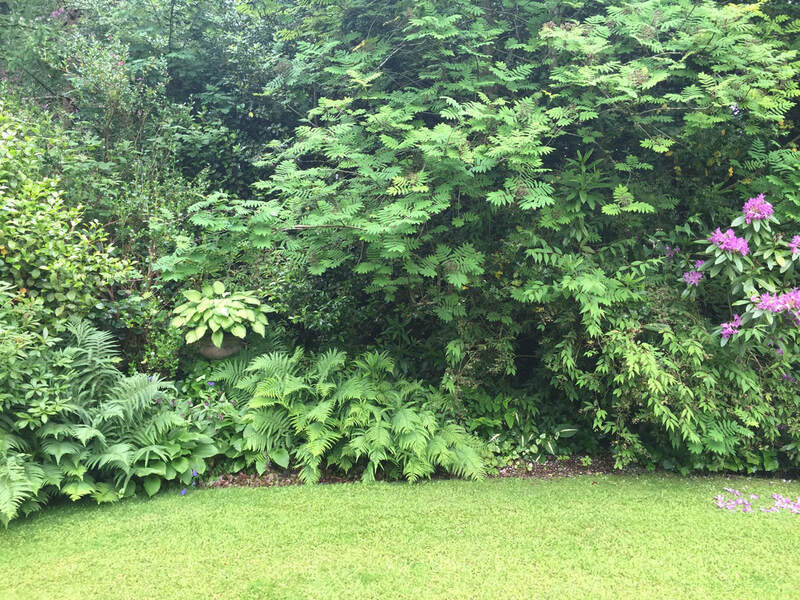 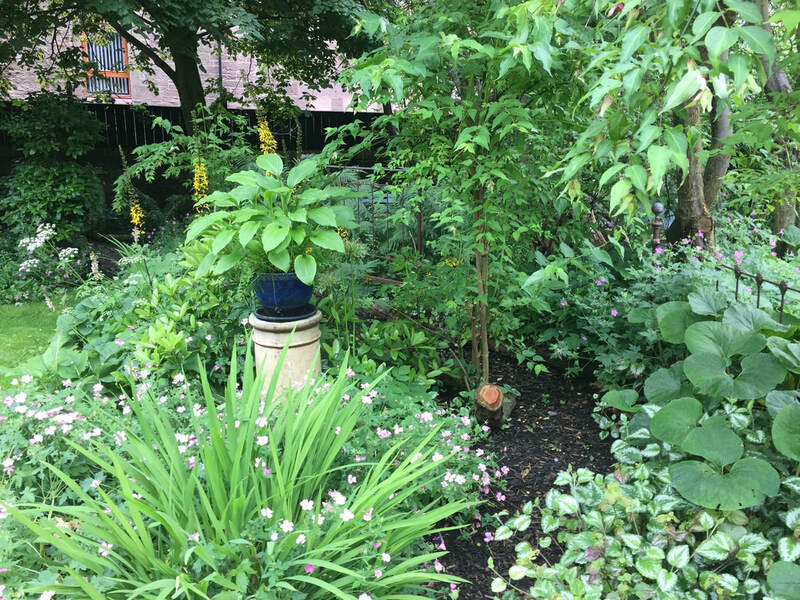 Charles has made Hedgeleigh his life work, preserving his grandfather's original design but adding a complex layer of herbaceous perennials and annuals - as he says he is refining his grandfather's design, "finishing off the picture". 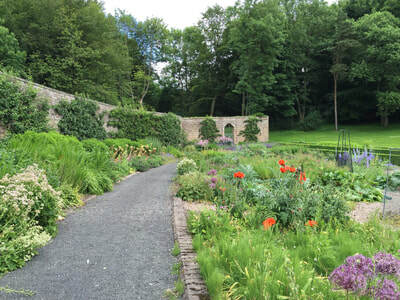 When he took over the garden was showing signs of its age, and he took on the arduous task of rebuilding many of the walls and painstakingly renovating most of the beds - lifting out the plants, rejuvenating the soil and replanting some of the original specimens and replacing others with plants of similar nature. Over the thirty year plus years he has transformed the garden into a consummate plantsman's paradise - adding over two thousand species and varieties that range from ordinary (roses and salvias) to the extraordinary - a Chinese persimmon (Diospyros kaki ‘Great Wall’) so laden with small orange fruit in the fall that Charles refers to it as "the pumpkin tree” and dozens of fall and spring flowing camellias, some so rare they are unnamed. 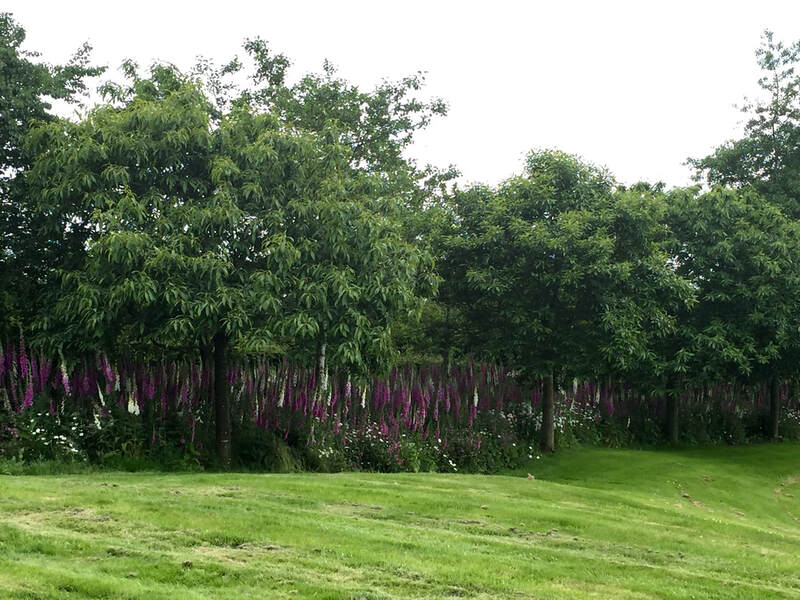 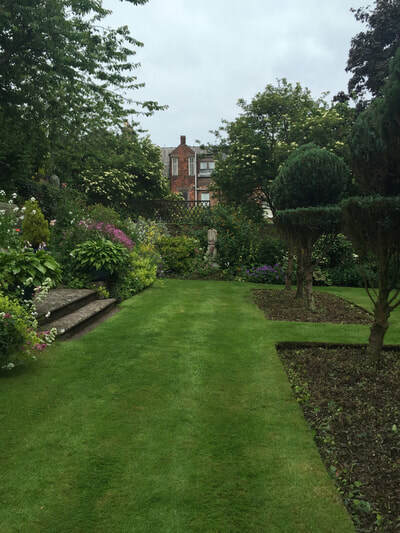 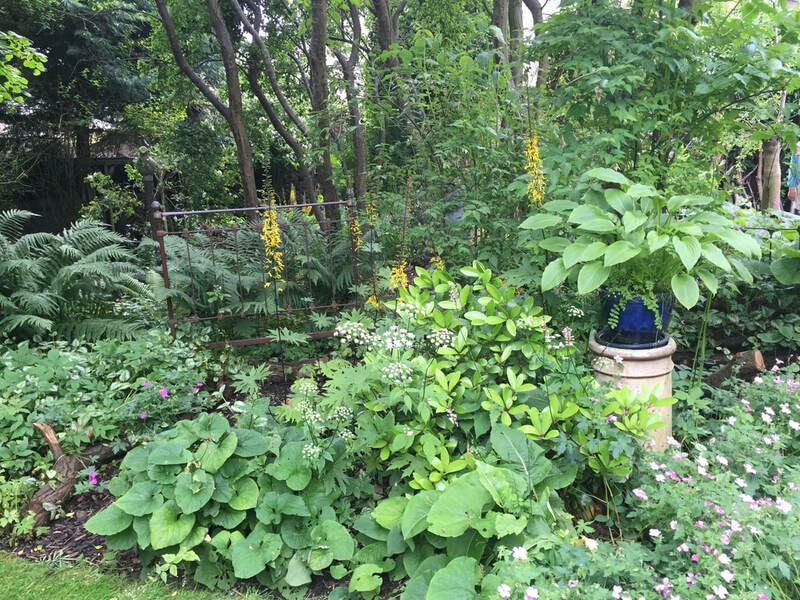 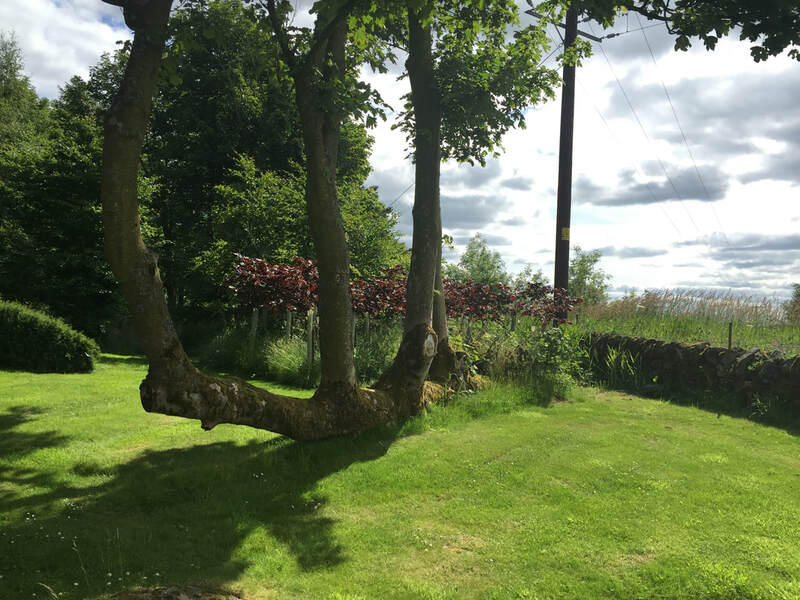 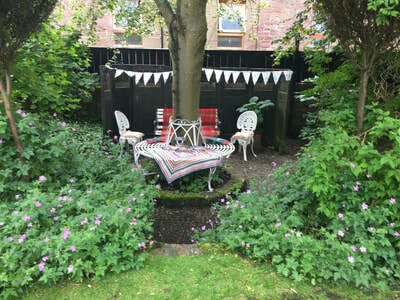 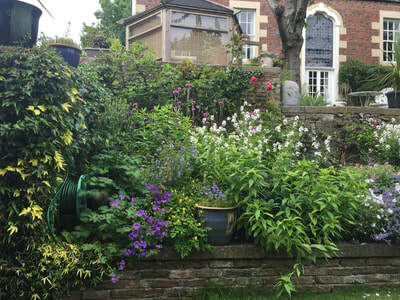 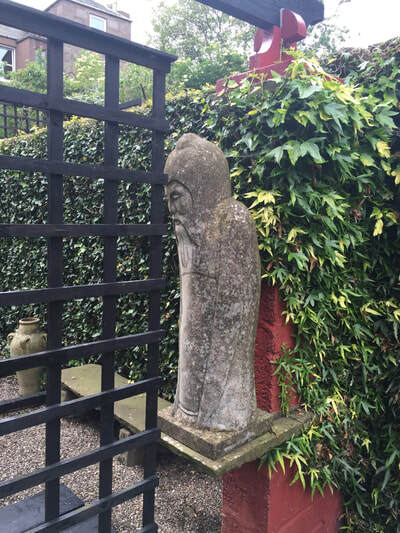 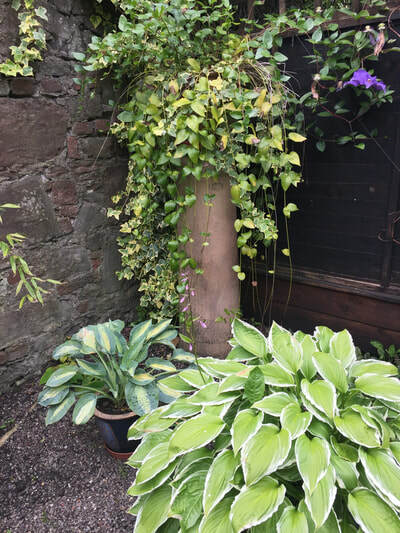 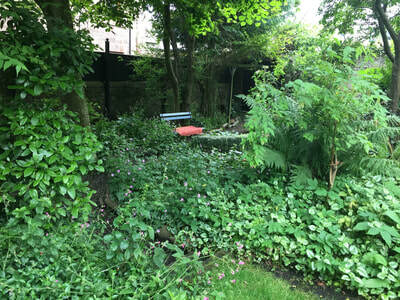 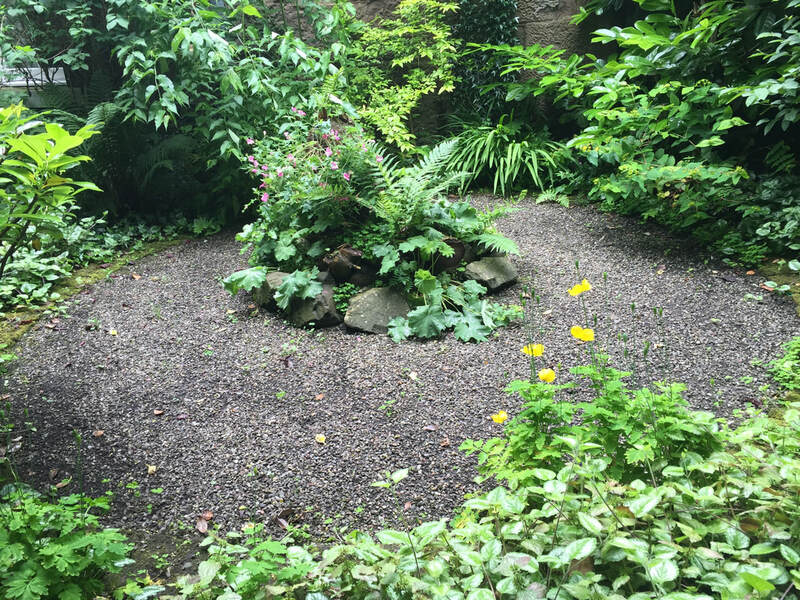 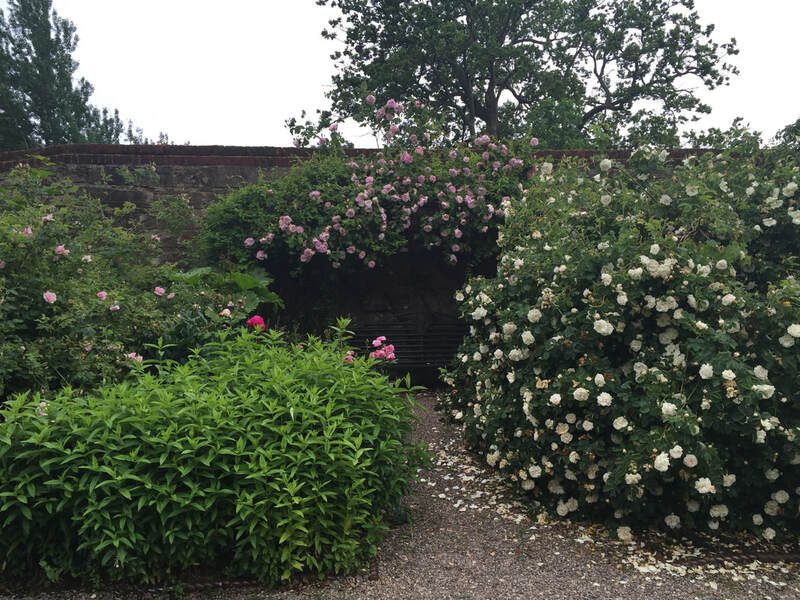 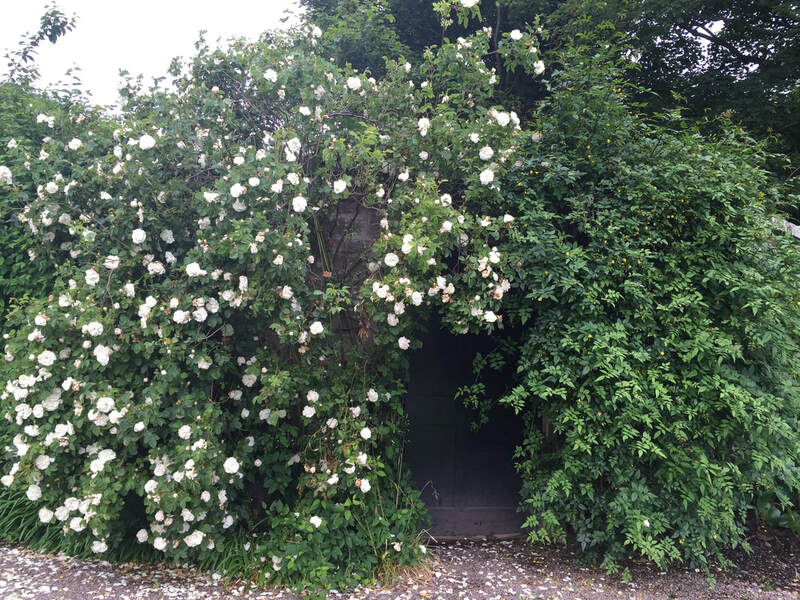 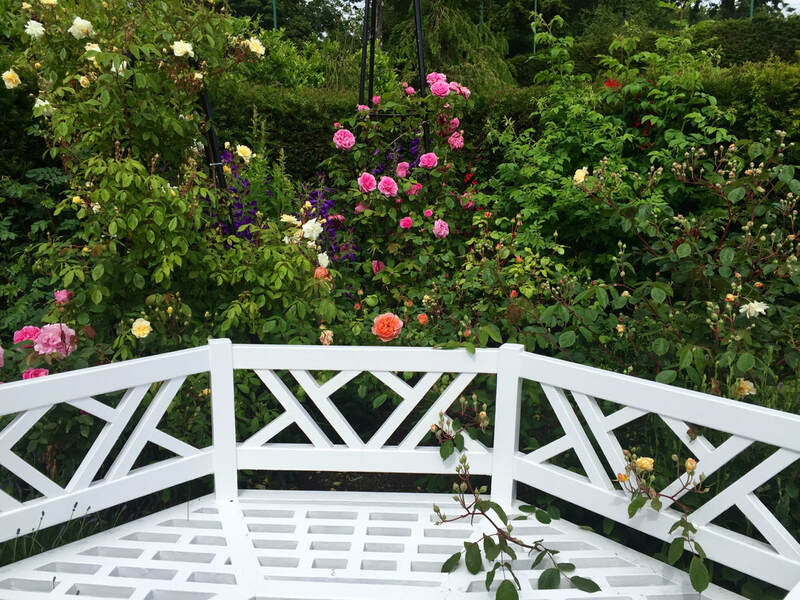 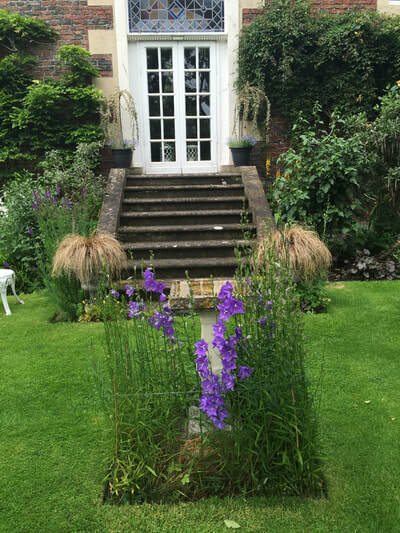 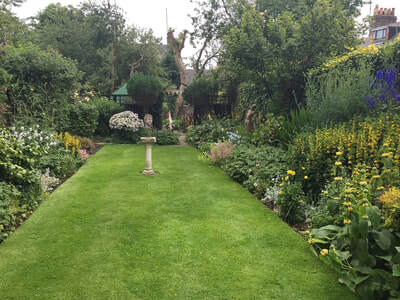 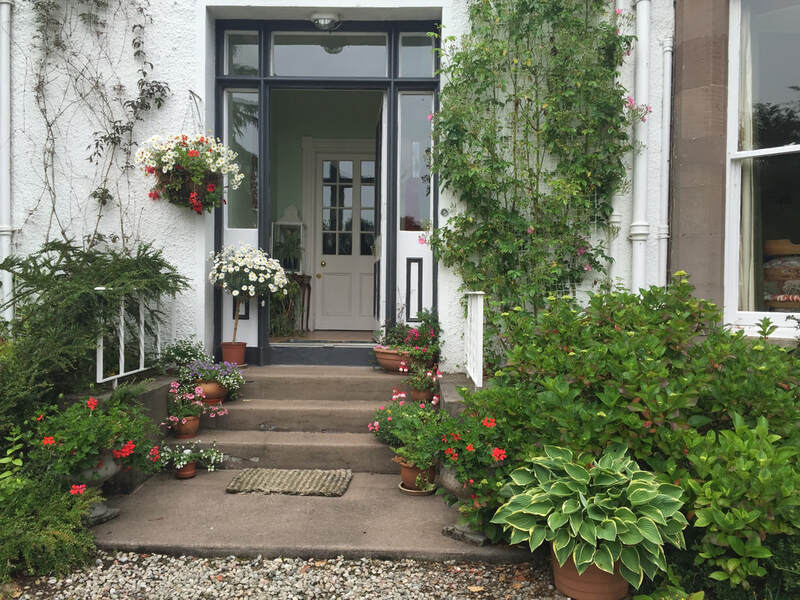 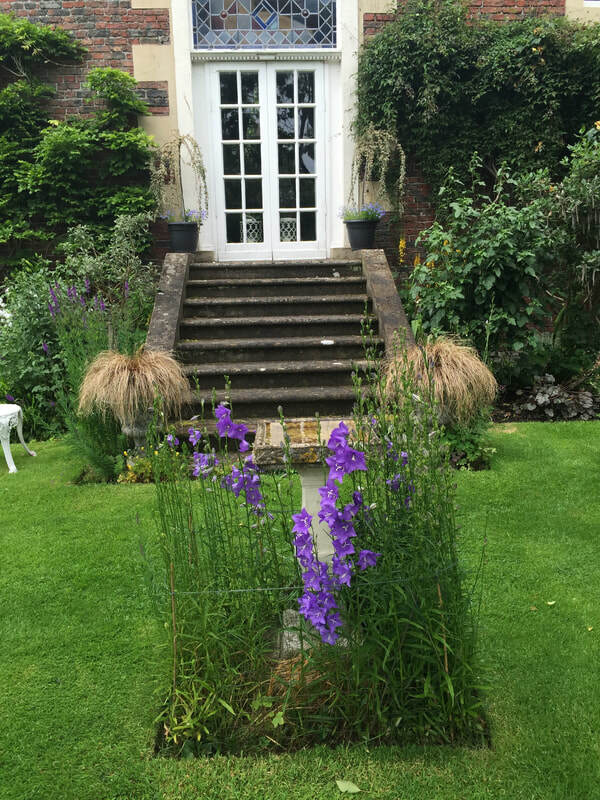 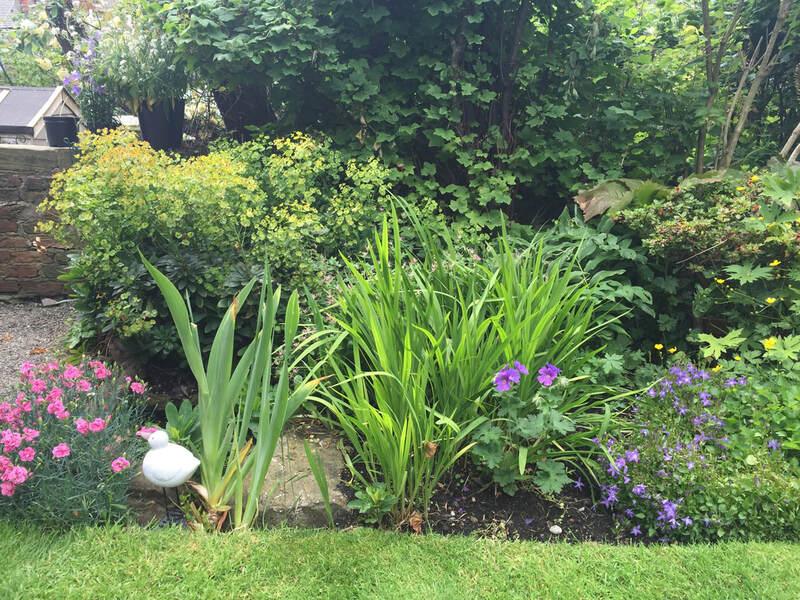 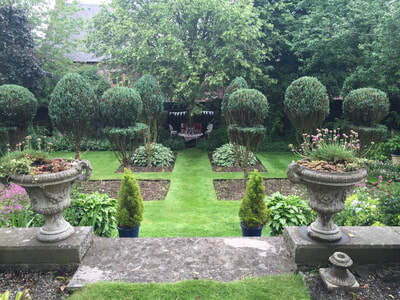 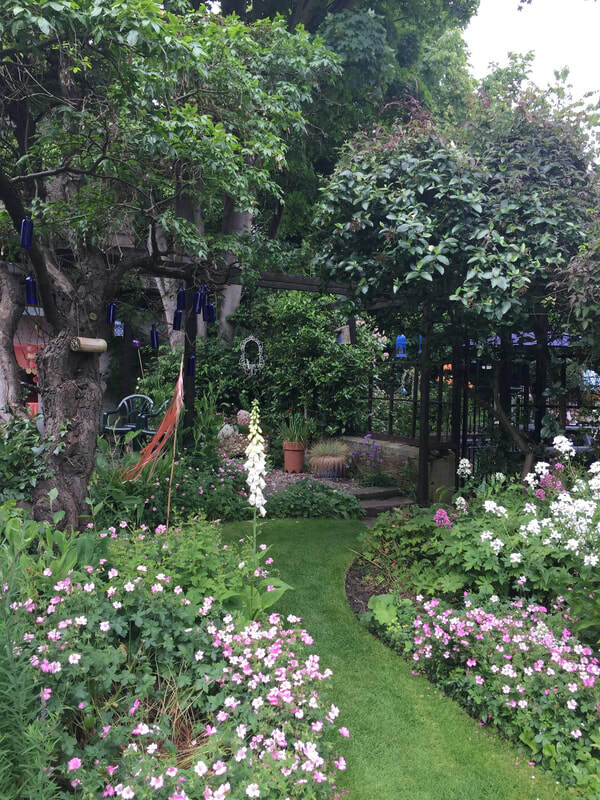 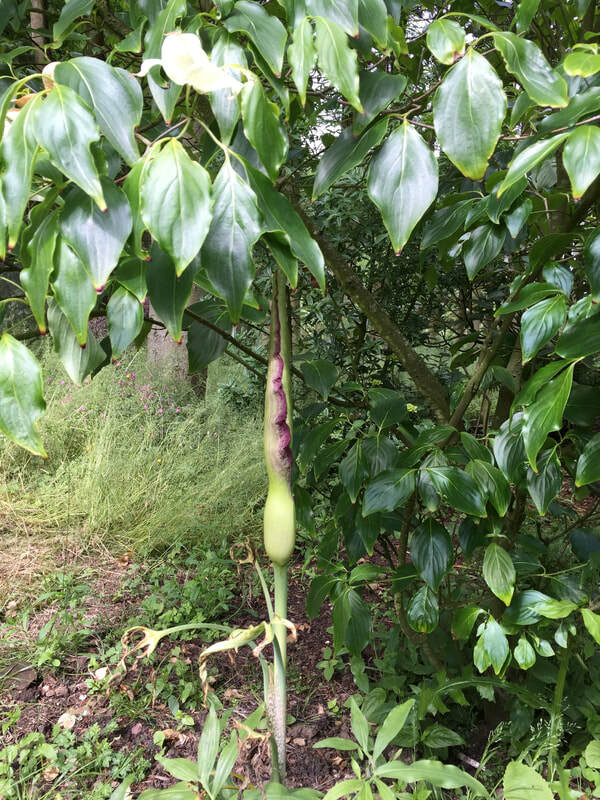 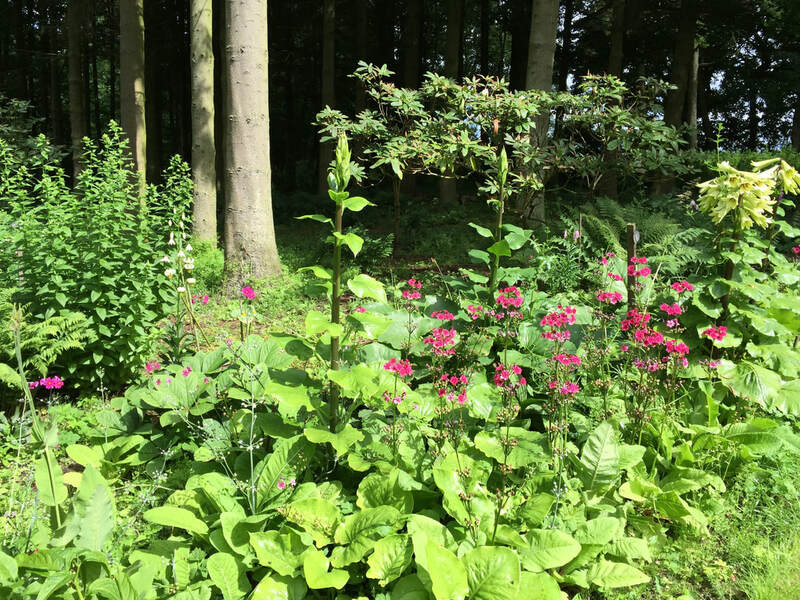 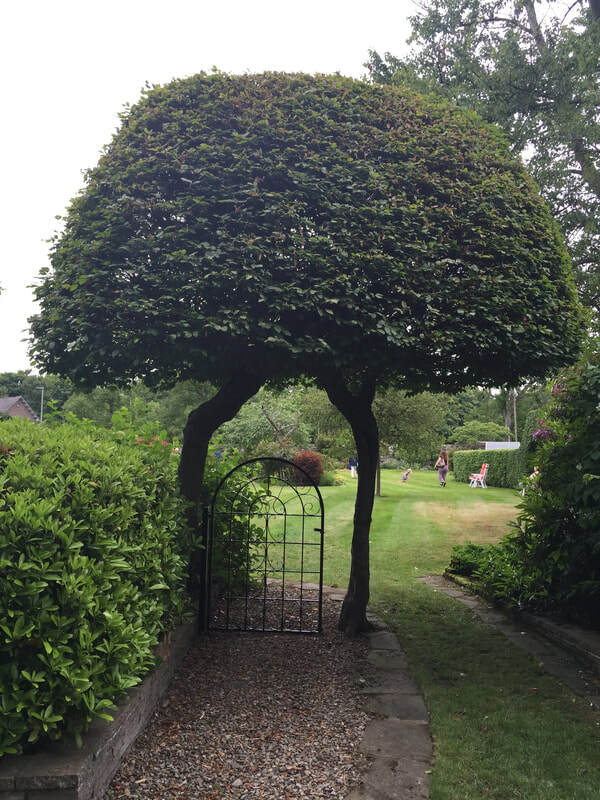 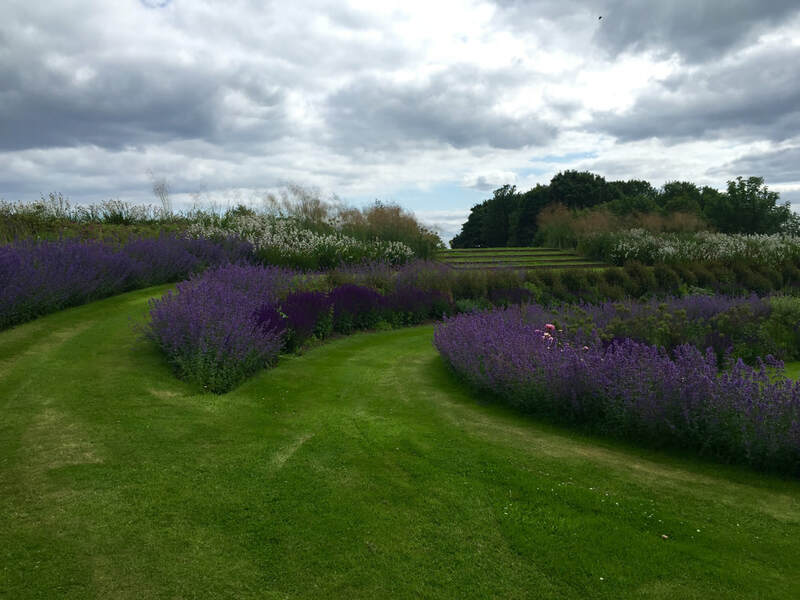 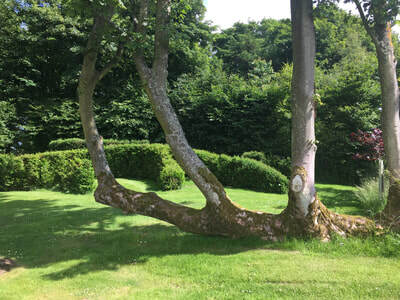 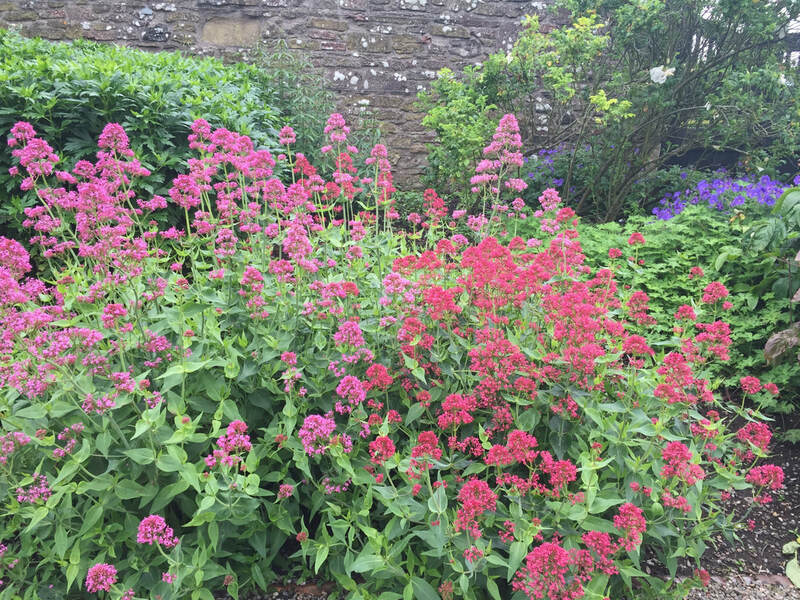 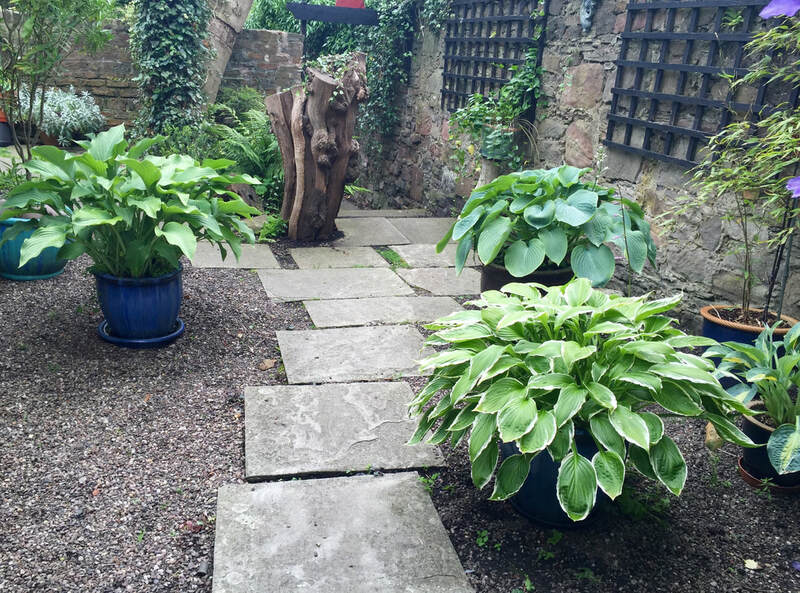 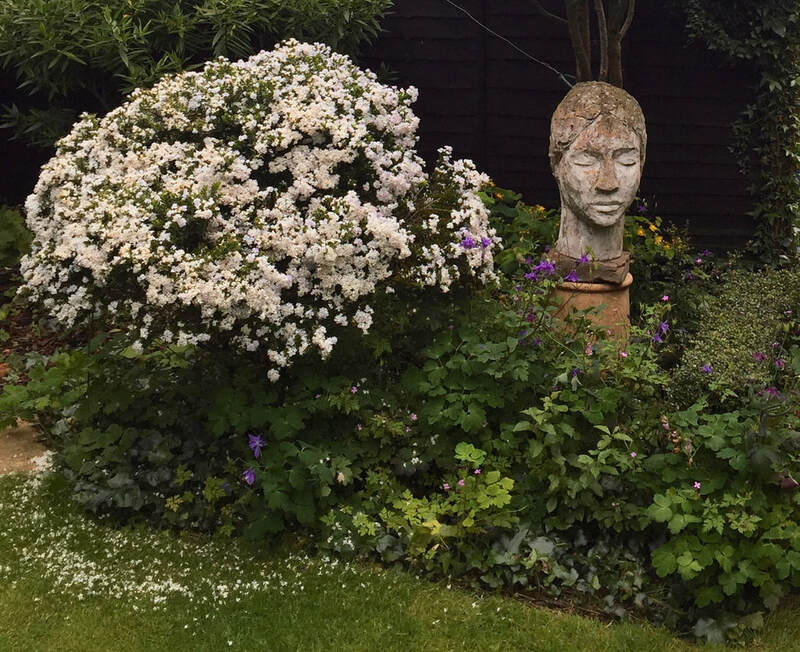 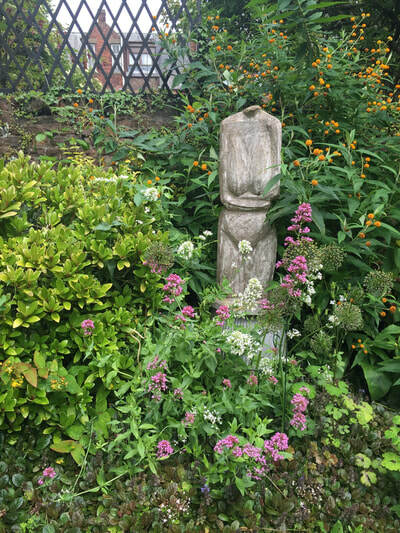 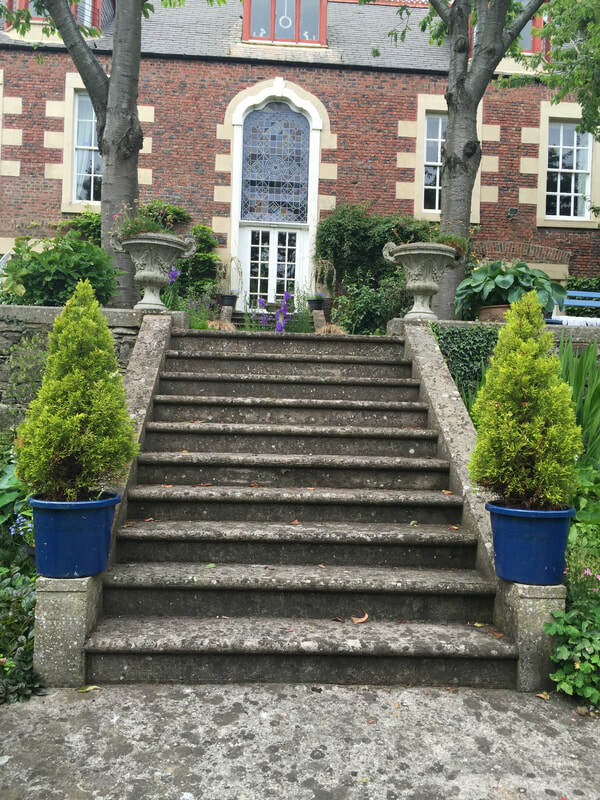 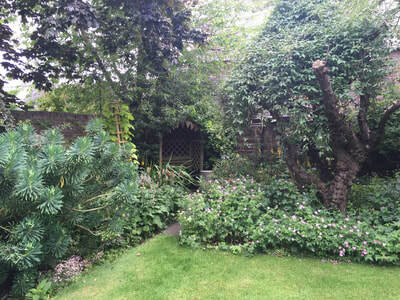 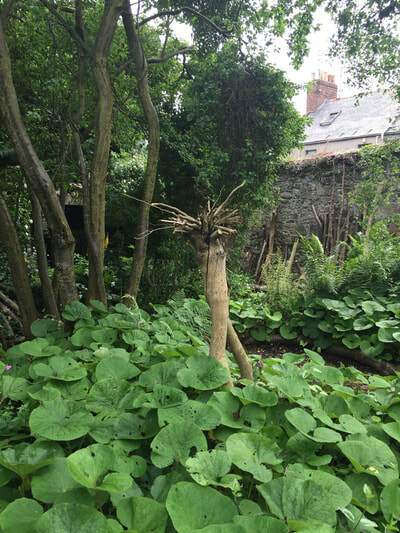 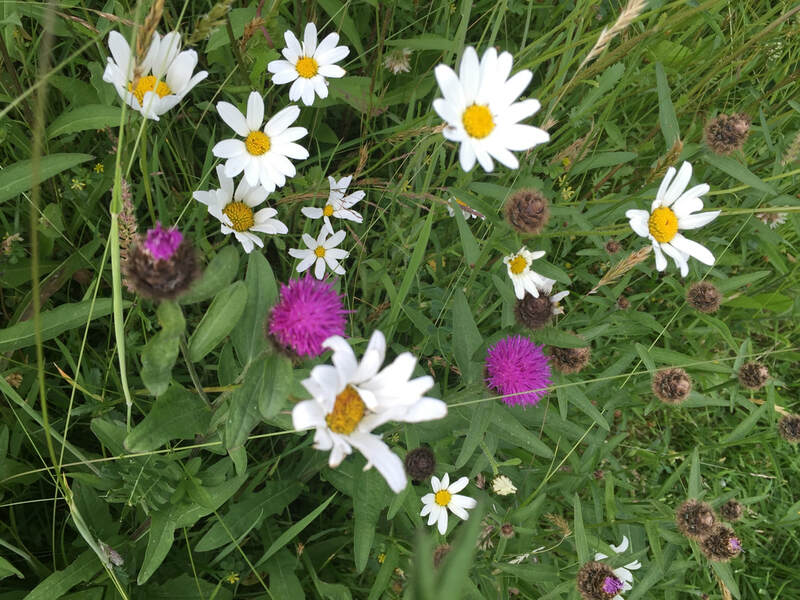 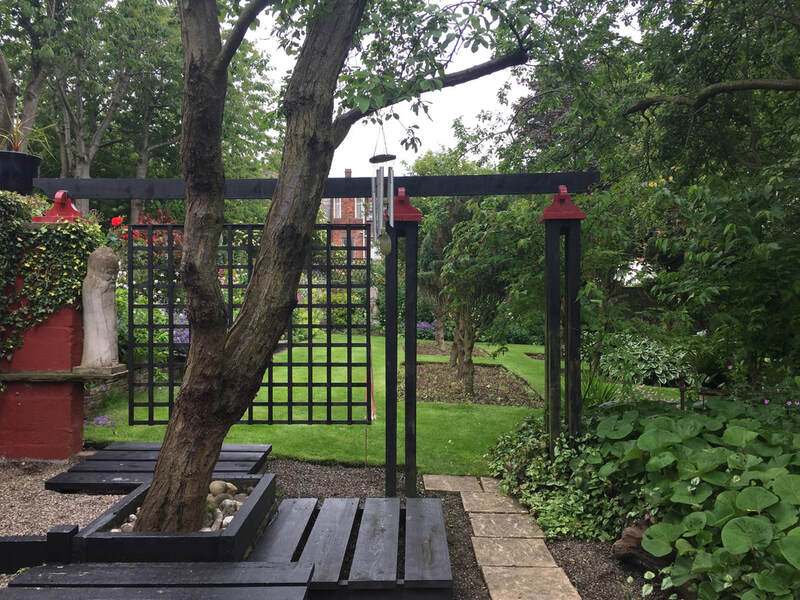 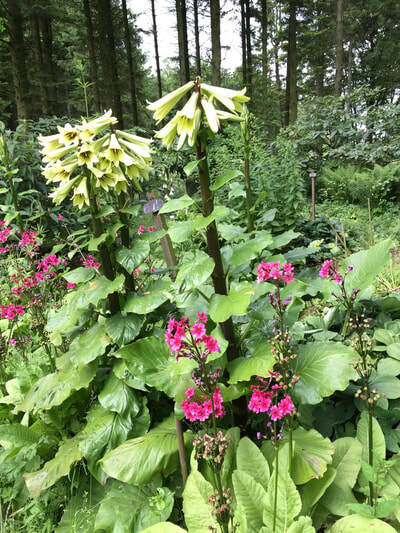 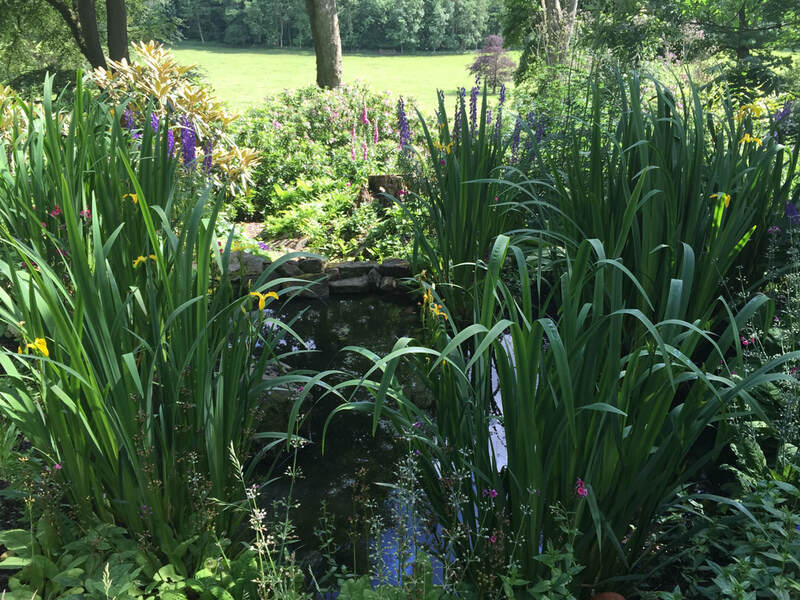 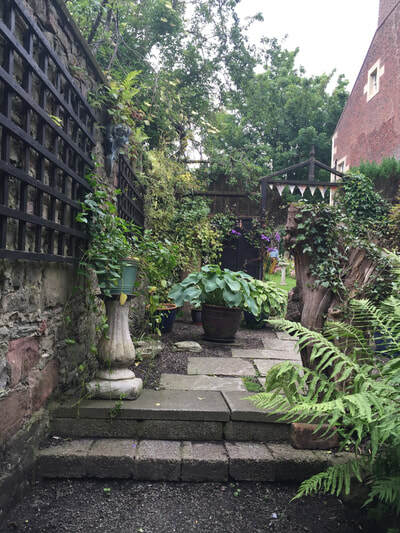 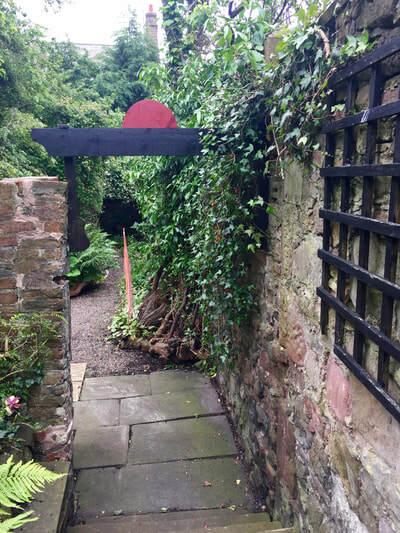 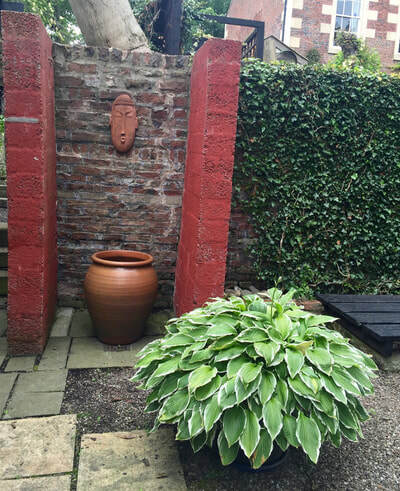 To have a garden created and lovingly maintained by three generations of gardeners is unusual - to have one whose steward is one of the country's leading horticulturists' pushes it into the extraordinary. It is a garden that, like great music, can be appreciated on many levels - These layers of gardening, laid down by three generations over the past ninety years, give the garden a beauty and maturity— “people without musical training might like a piece of music simply because it sounds good, or makes them feel good,” Charles says. 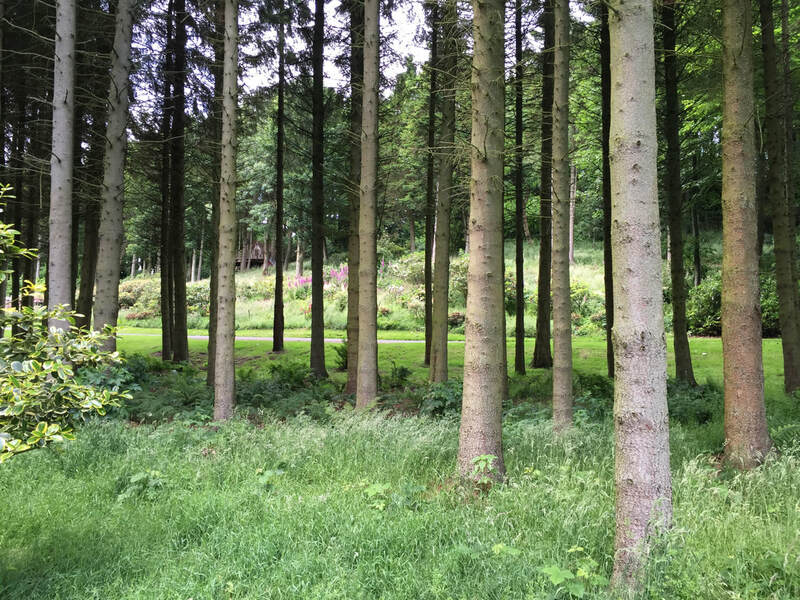 “But a musician will hear it with a whole different level of understanding. 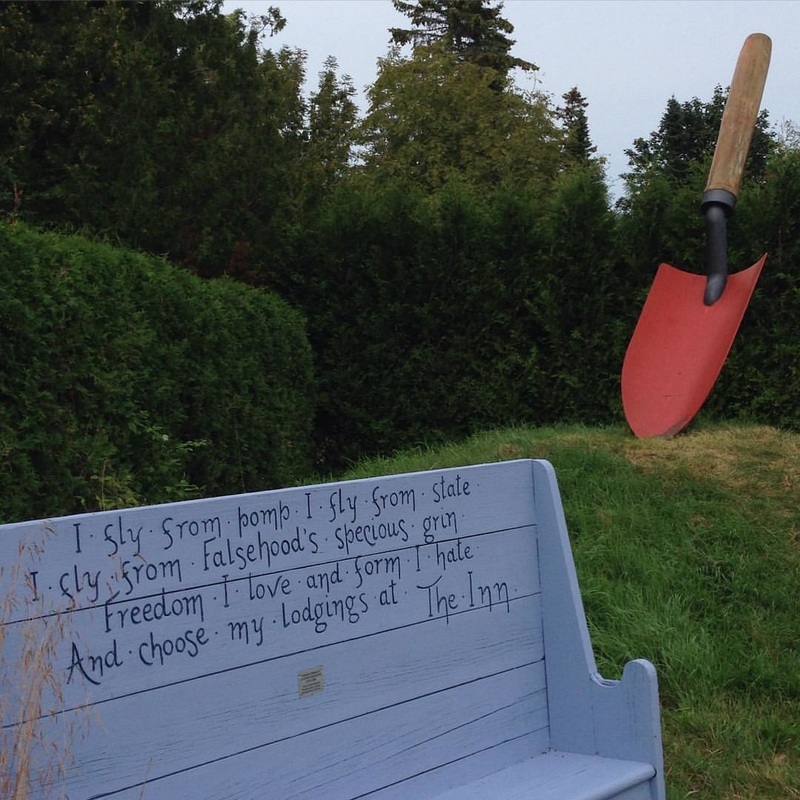 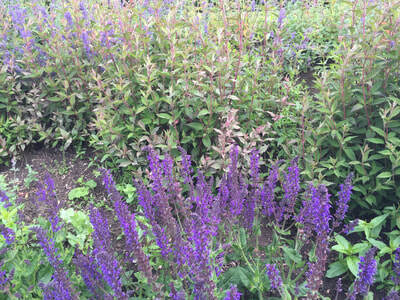 My hope is that this garden is worthy of being appreciated on that deeper level, by those who can." 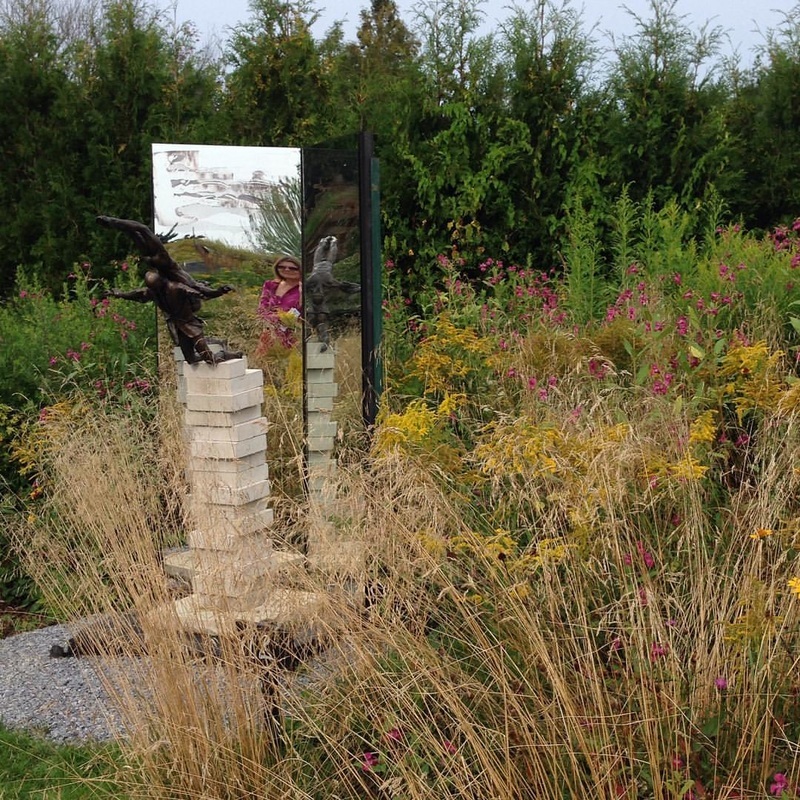 Liz Schumacher is a Barnes horticulture alumnus, the creator of an award winning garden and the owner of Garden Accents. 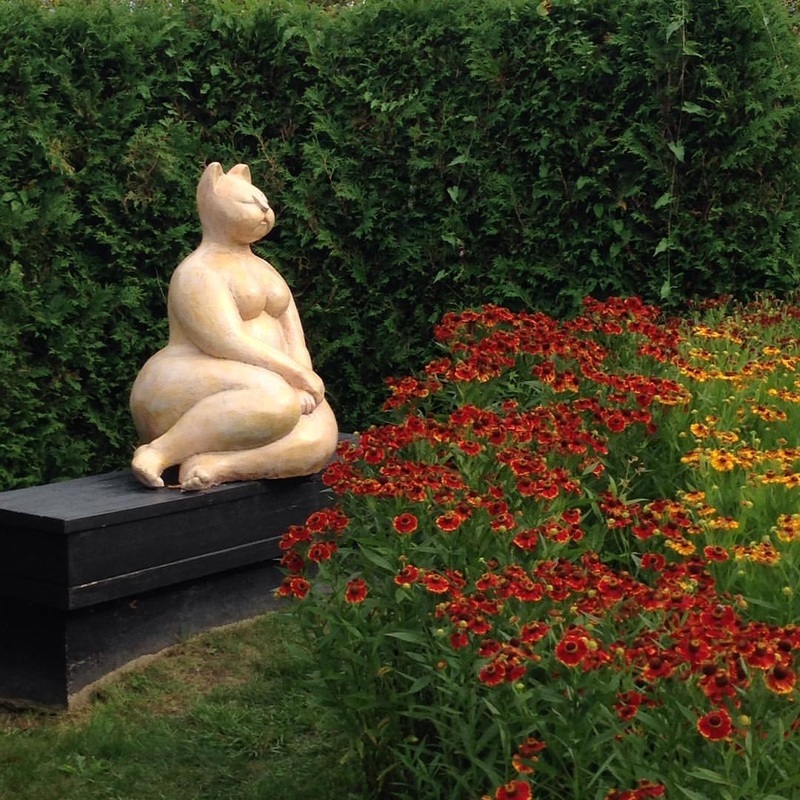 As she told us it was a failed local attempt to find a garden sculpture she liked for her terraced garden in PA that led her to a pawn shop in Mexico and ultimately to a lifetime traveling the world collecting sculptures, fountains and garden furnishings. 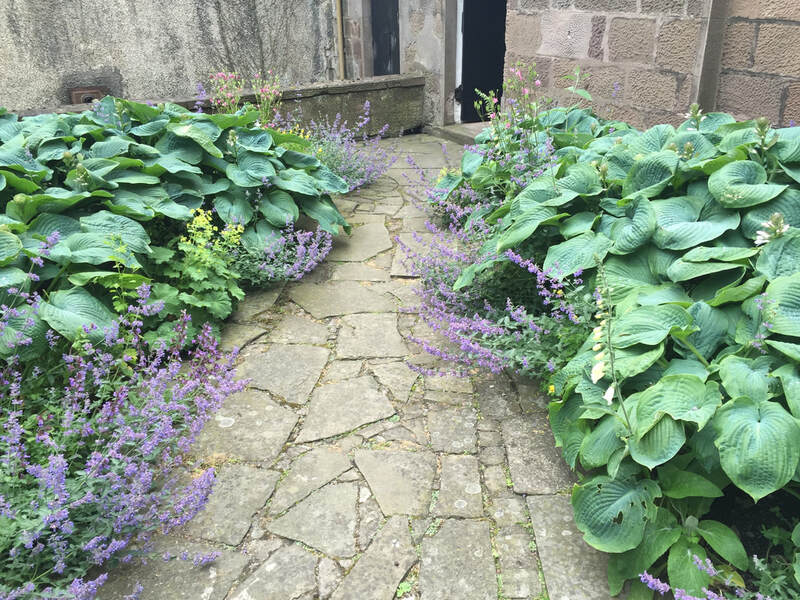 A chance quest turned into a lifelong passion and thriving business. 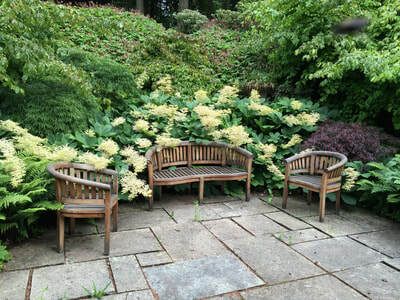 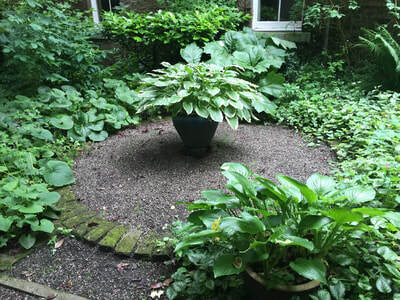 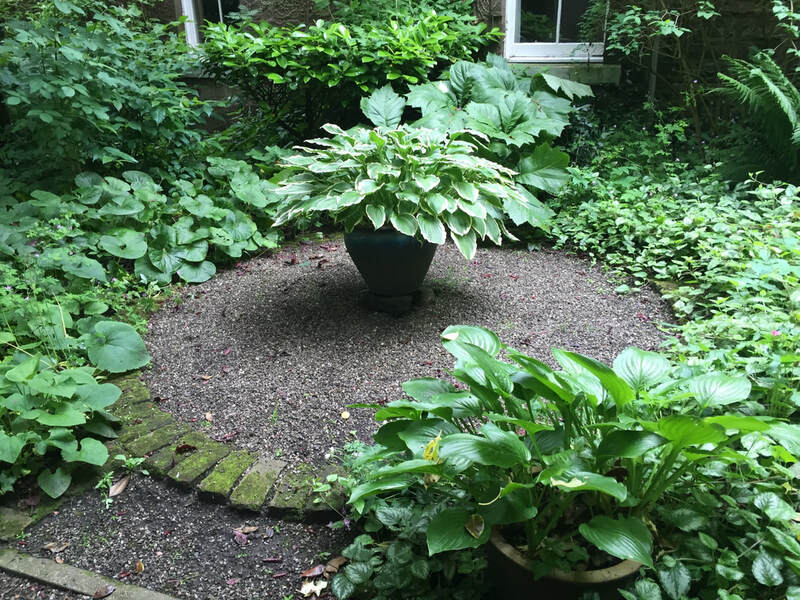 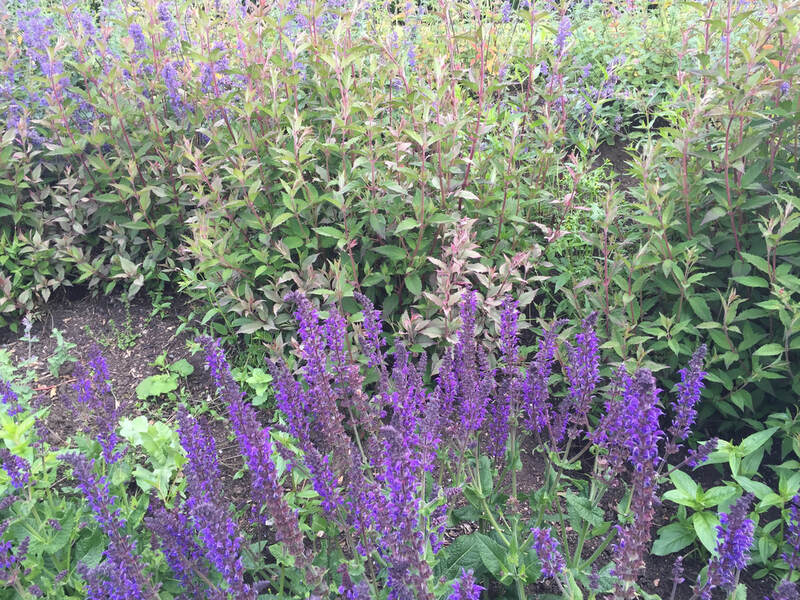 Liz began studying horticulture at the Barnes Foundation when her children were small - she had recently moved to the area and bought a house with a barren hill for a garden that nobody else would touch and was looking for inspiration. 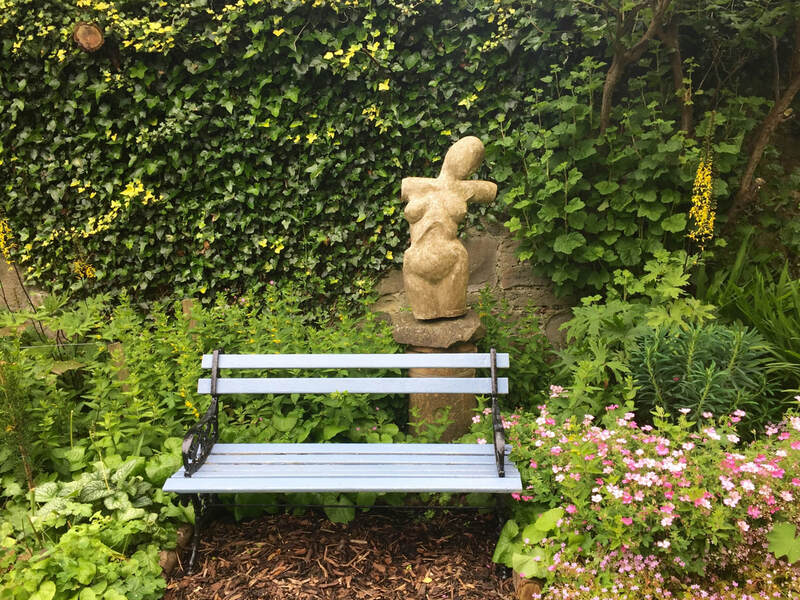 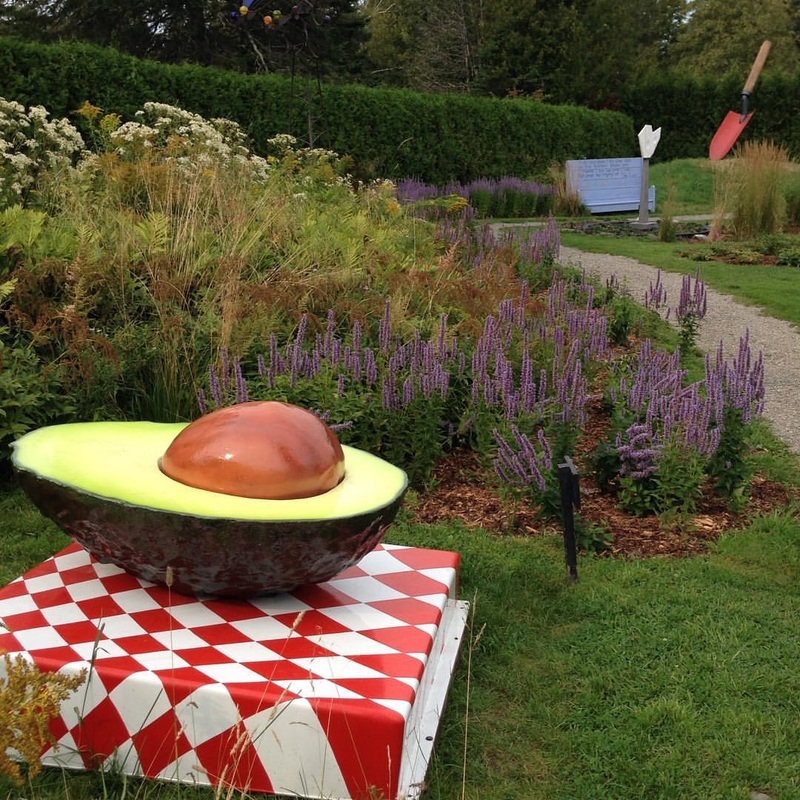 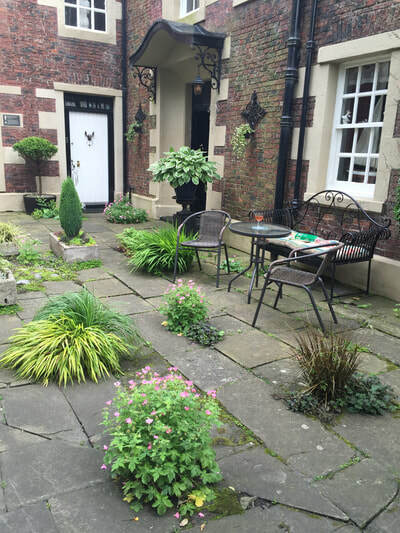 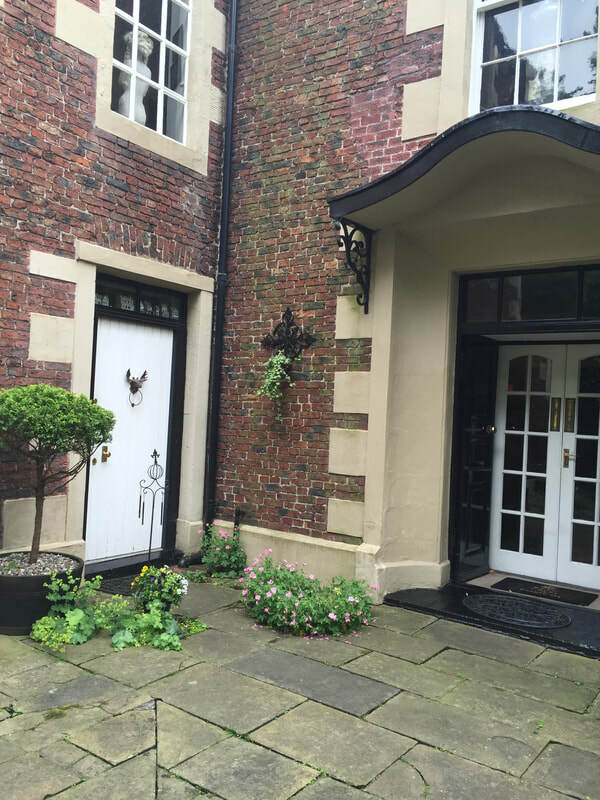 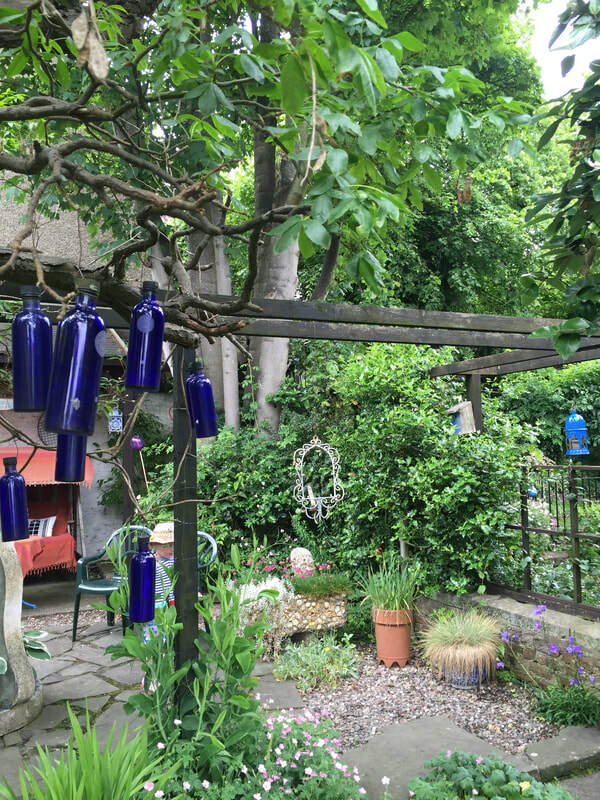 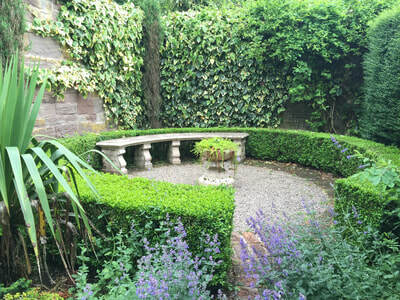 In the decades since she has terraced and developed the inhospitable sun-baked slope into an award winning terraced garden, stunningly pruned trees, specialty plants and art objects that have created important focal points and have personalized the space. 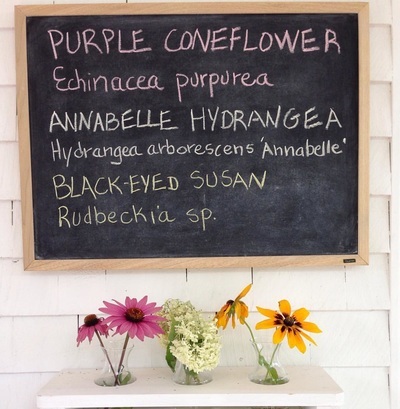 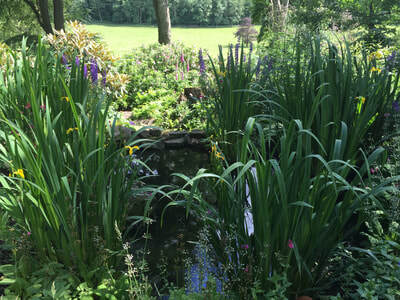 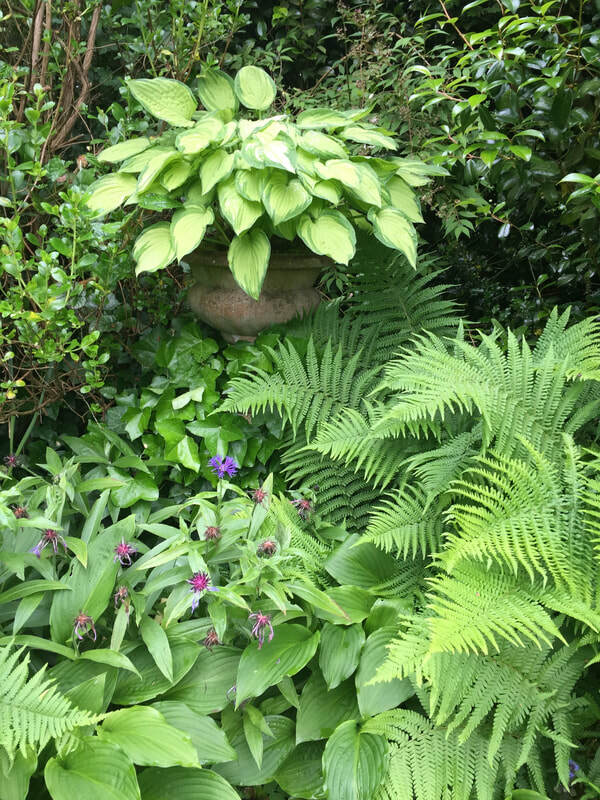 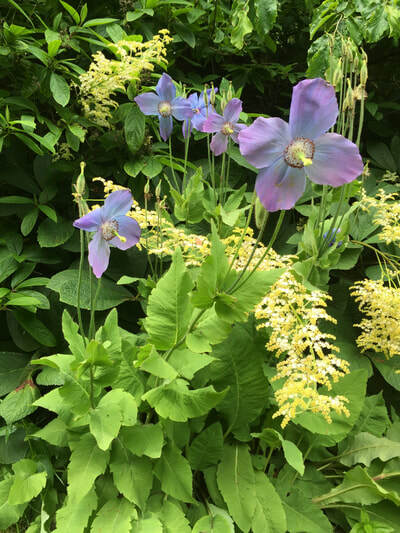 Her children have grown and have their own gardens, Liz now supplies garden pieces to many award winning exhibits at the Philadelphia Flower Show and other local events, lectures to garden clubs and universities and is a published garden writer. One of my favorite gardens in the UK, this 17th century Scots tower house and grounds just outside Crail, have been diligently restored over the last 20 years. 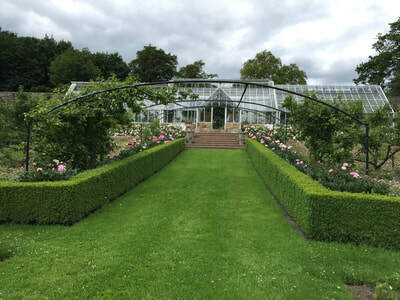 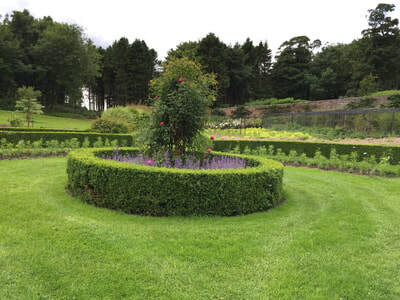 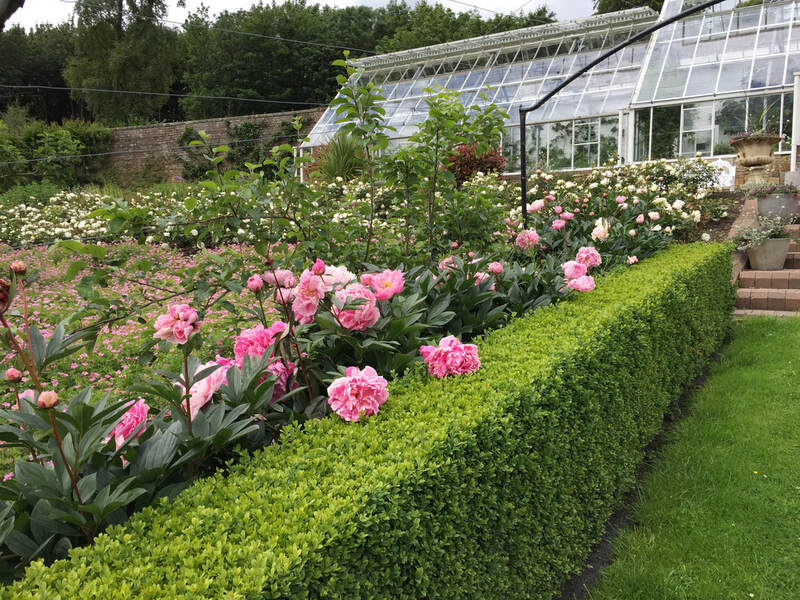 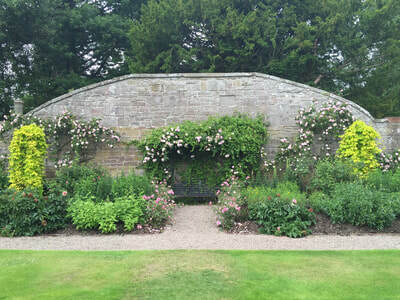 The delightful 1.5 acre walled garden is a series of charming individual rooms, which include a wildlife meadow, productive potager, intricate formal parterre, magical Griselinia garden and recently planted late-season perennial borders. 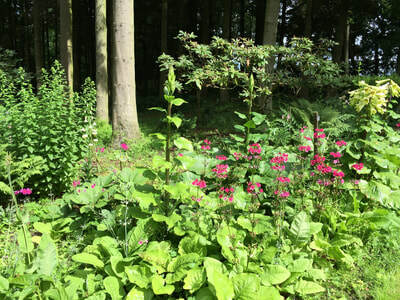 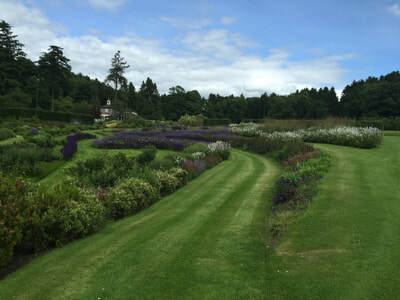 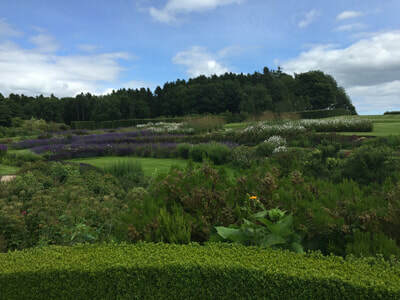 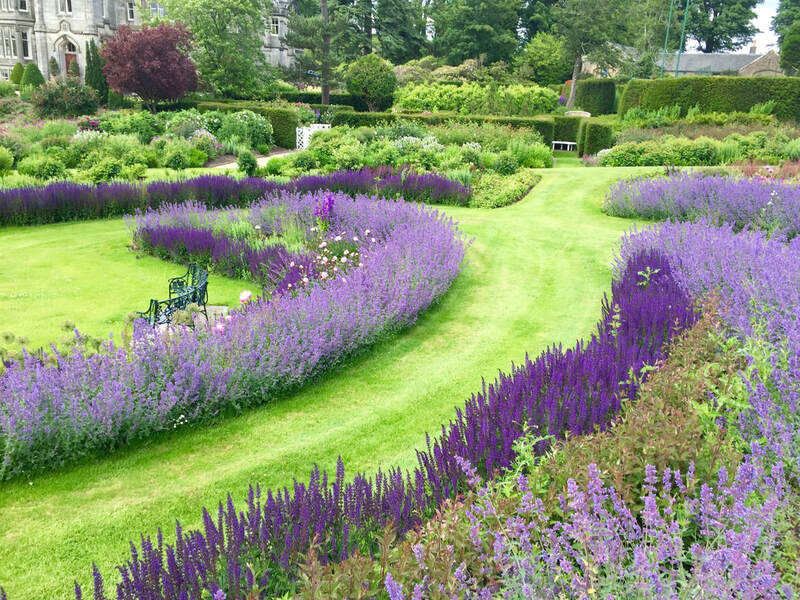 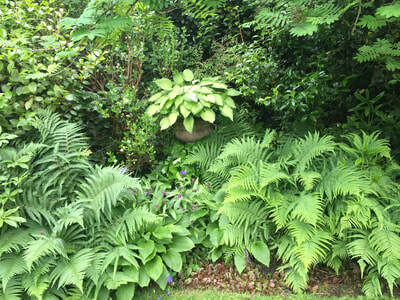 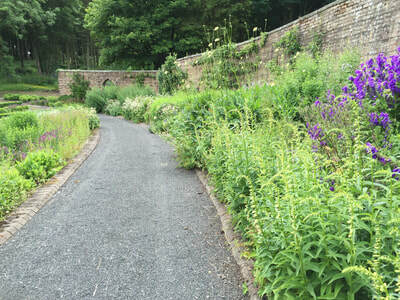 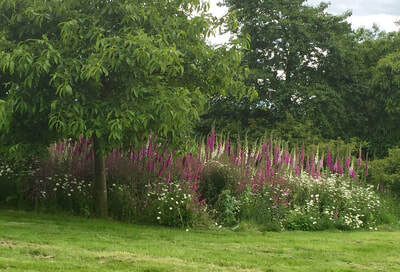 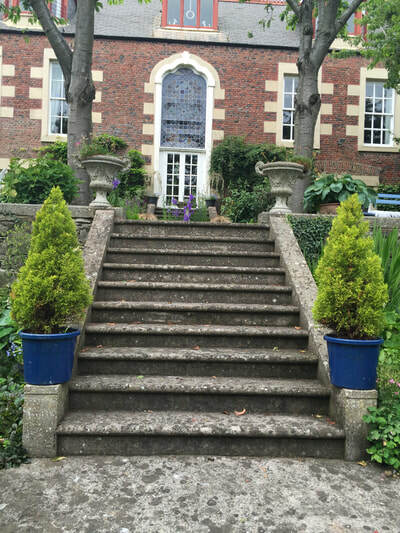 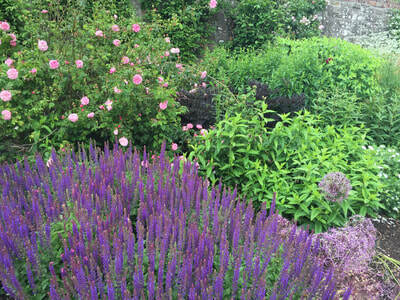 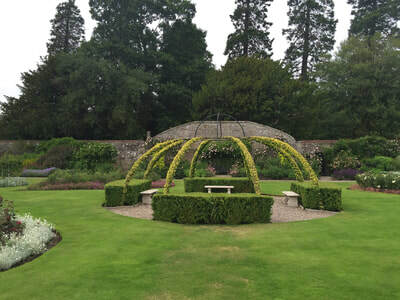 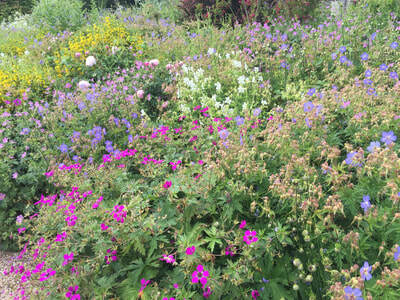 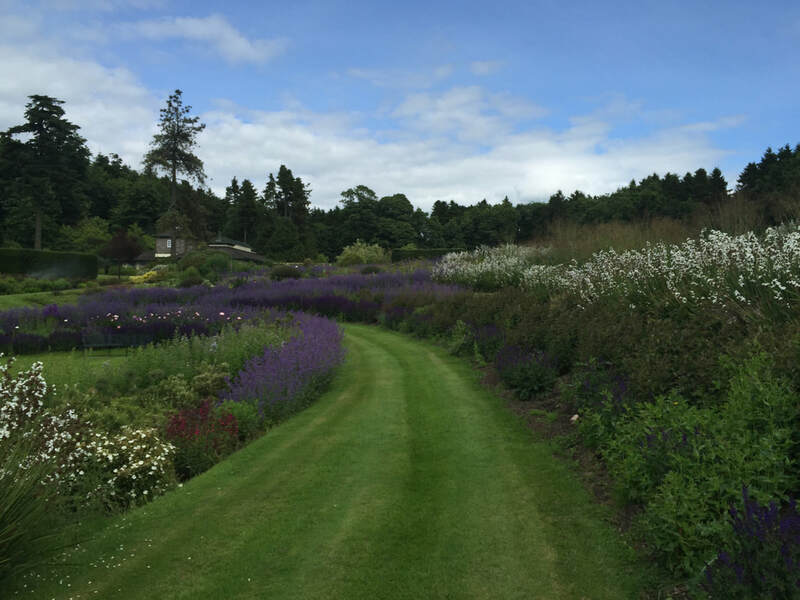 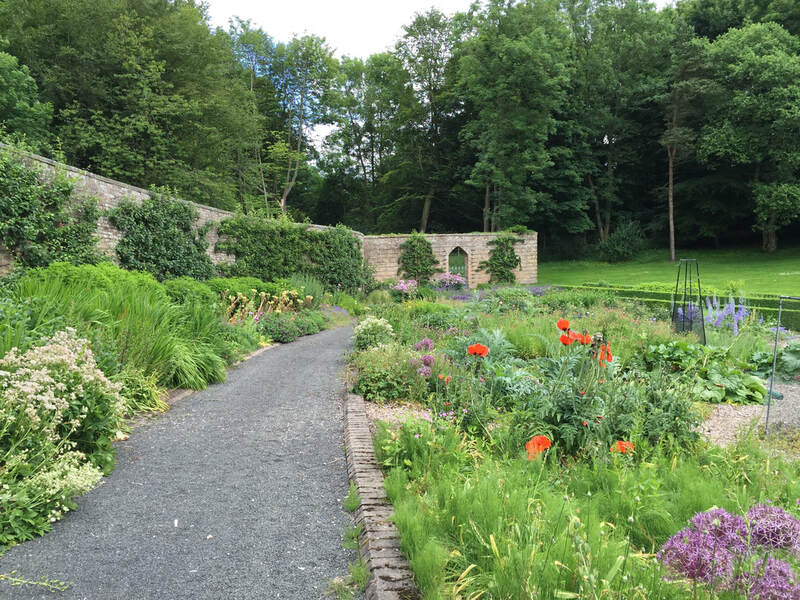 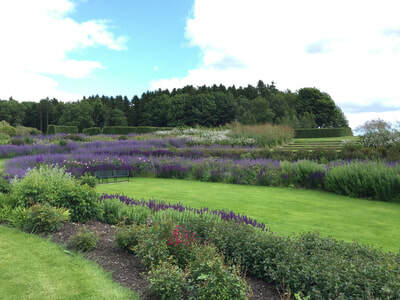 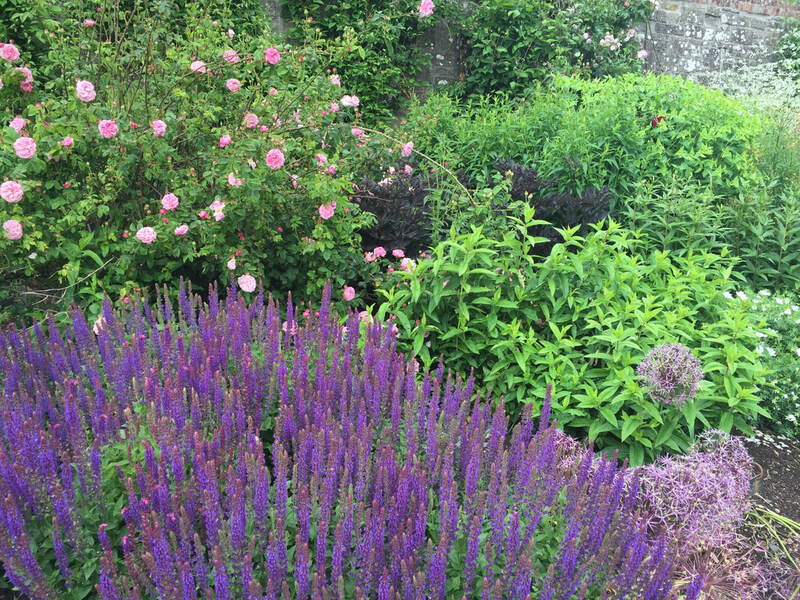 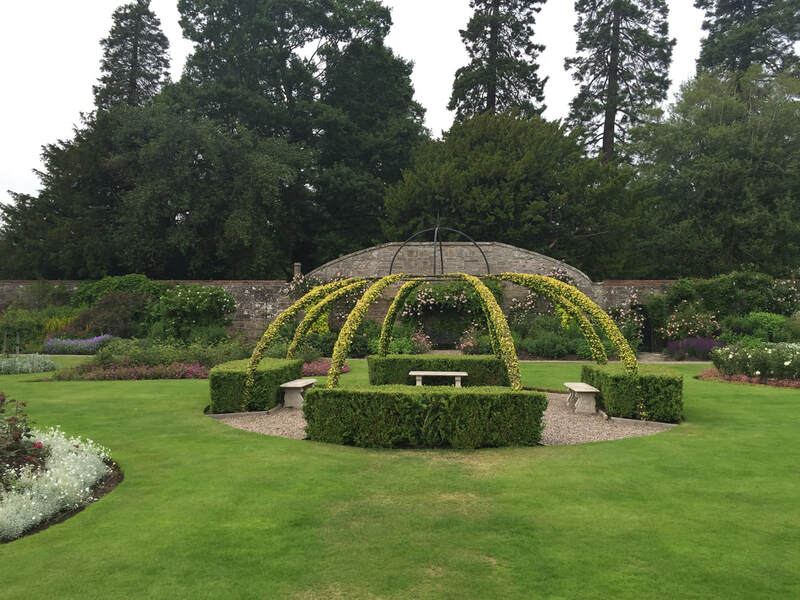 There is a fabulous midsummer herbaceous border and two award-winning Georgian-style garden pavilions. Katherine Taylor, the head gardener is as delightful as her gardens, and is brilliant at responding to emails and asking questions when visiting. 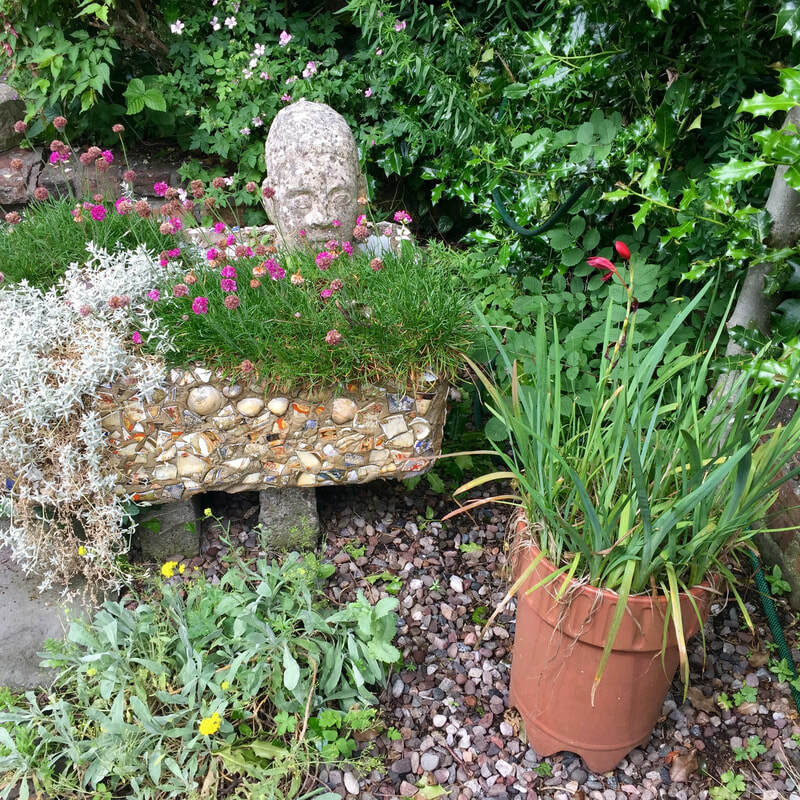 Her very friendly dog is also great fun. The family requests a donation of £4.50 a person which they give to charity.